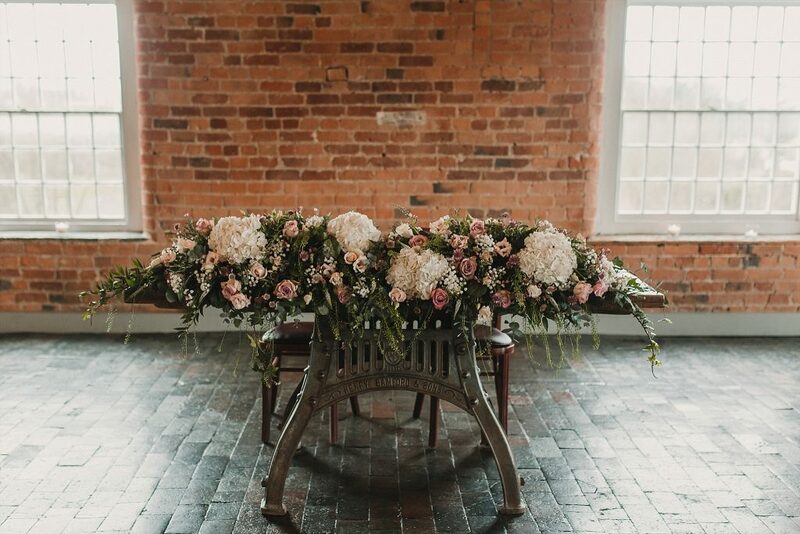 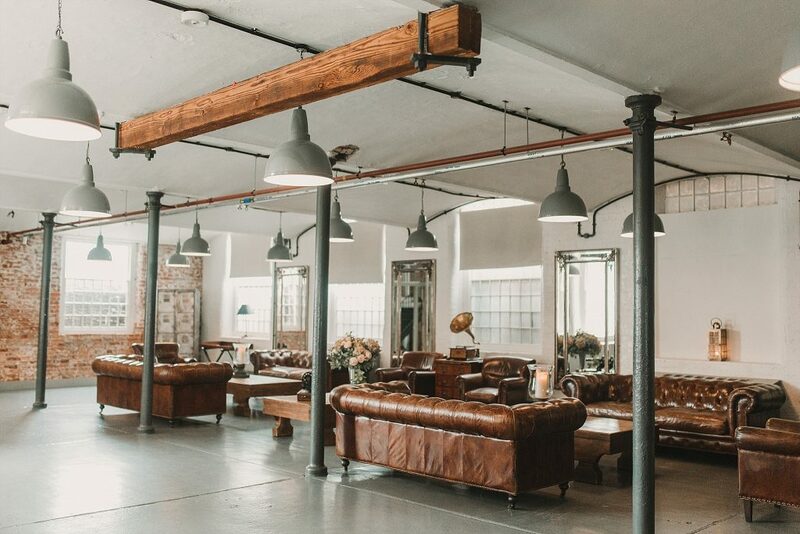 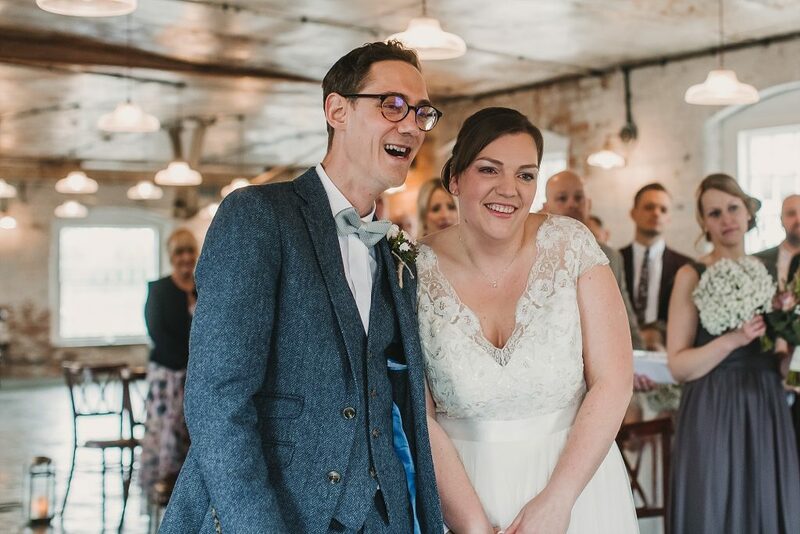 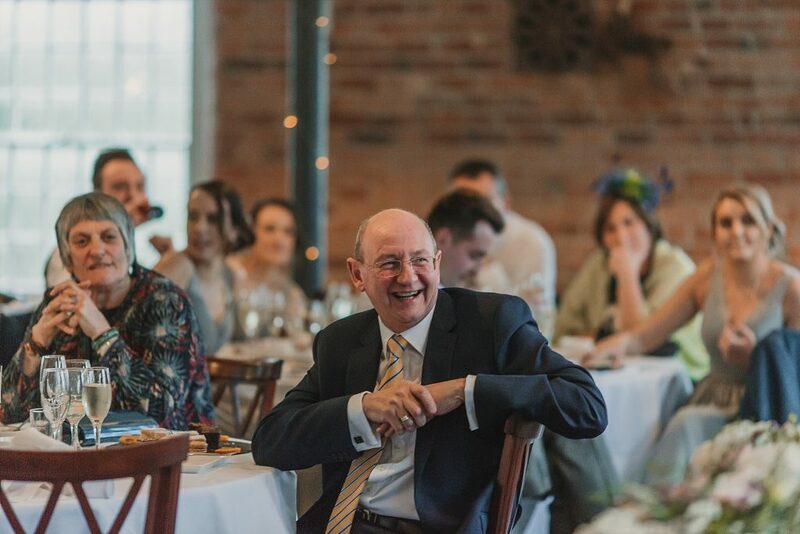 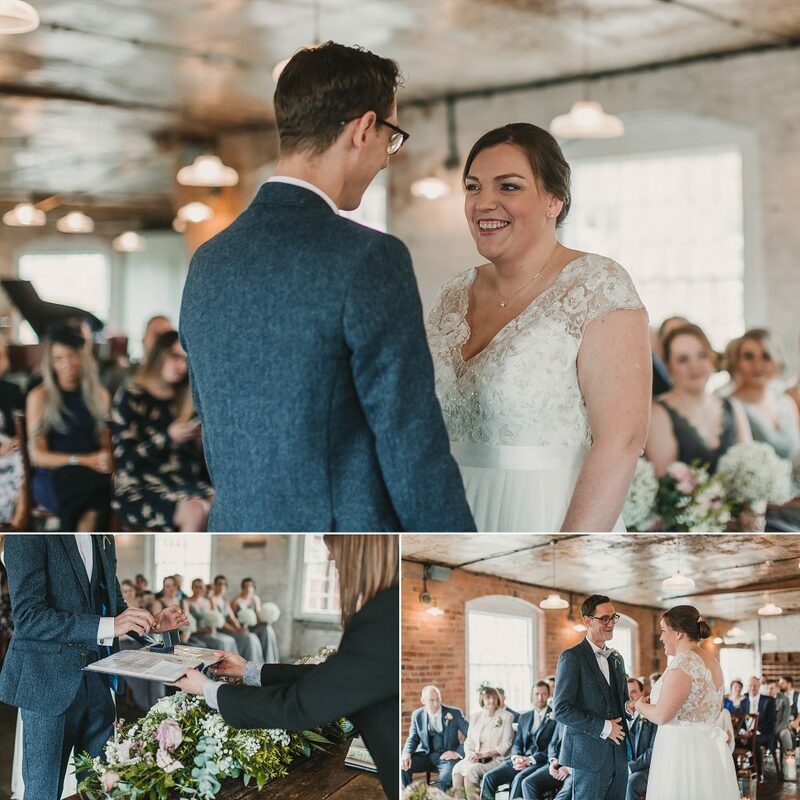 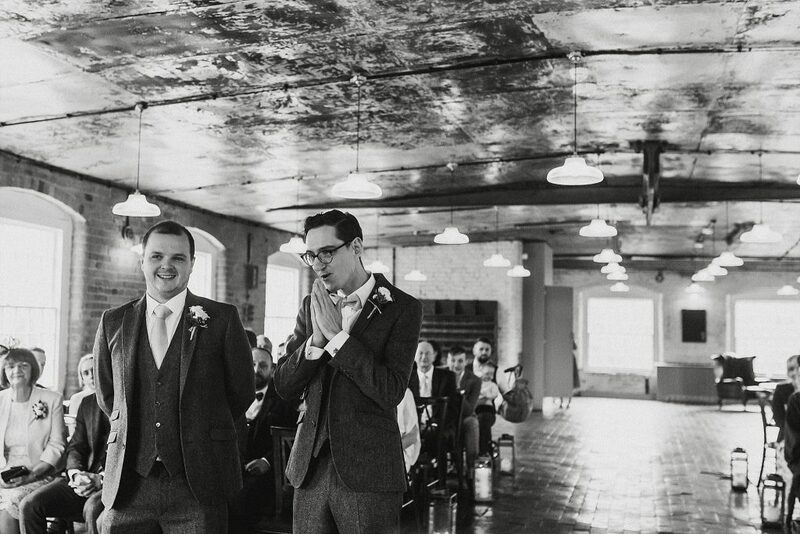 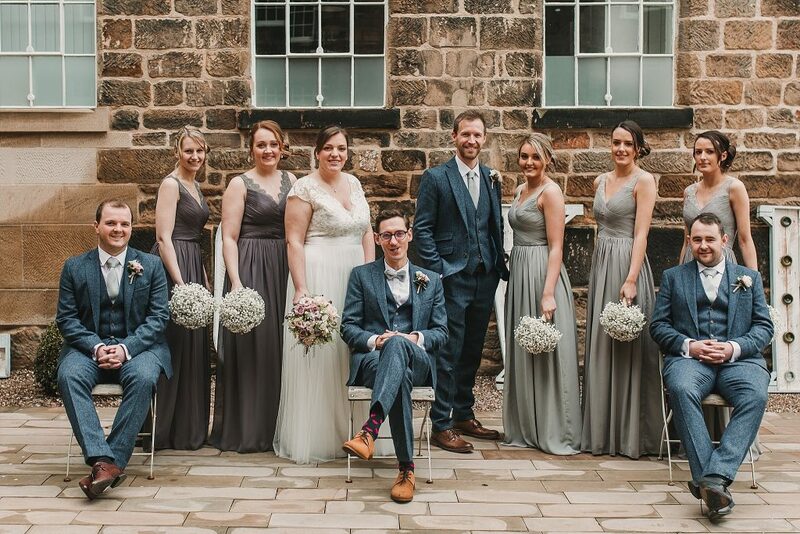 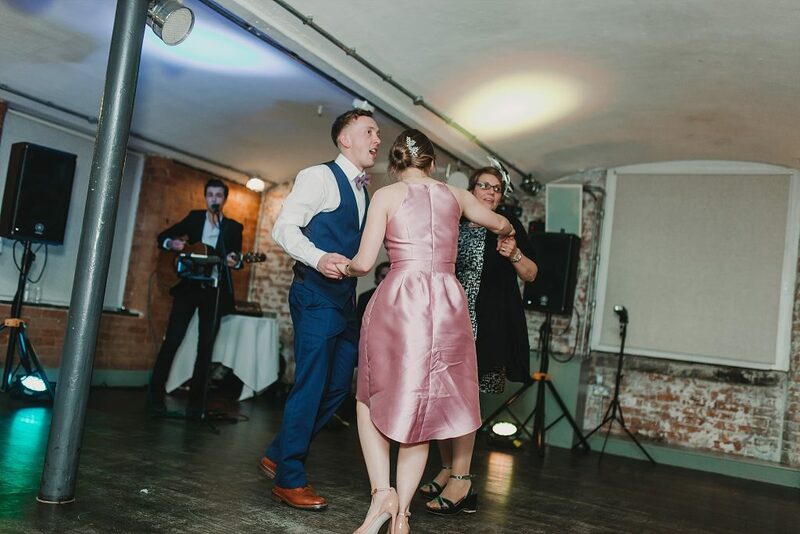 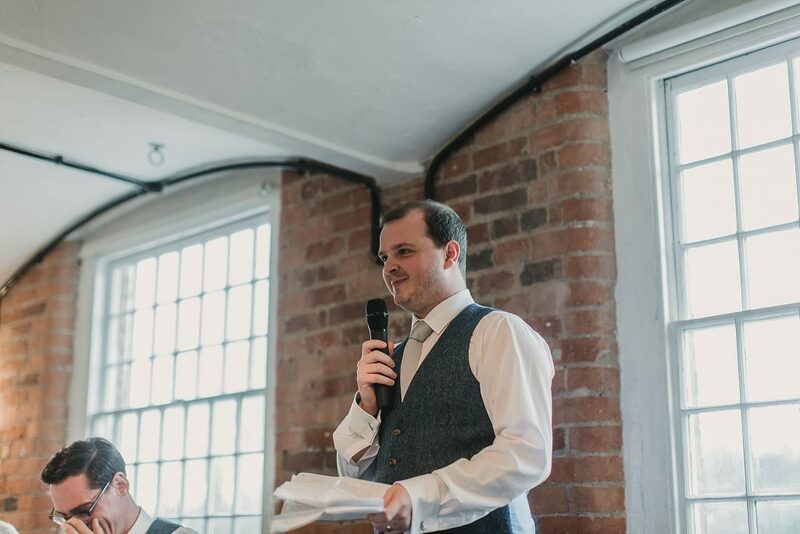 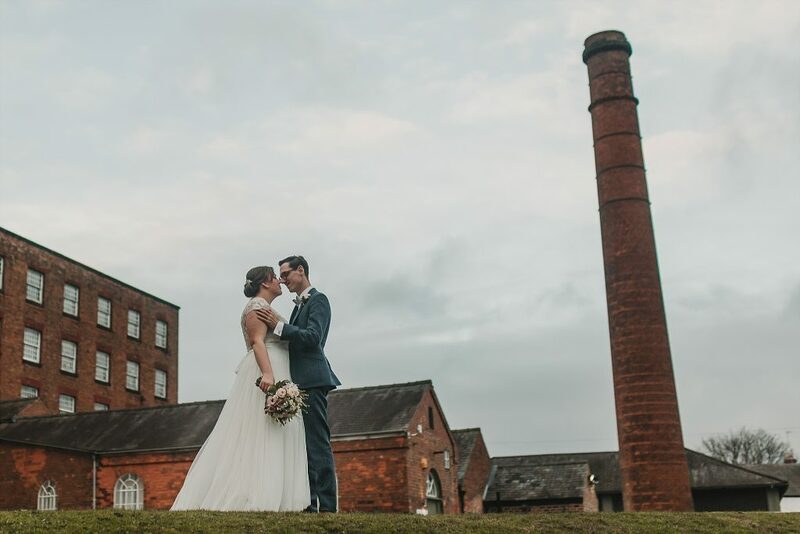 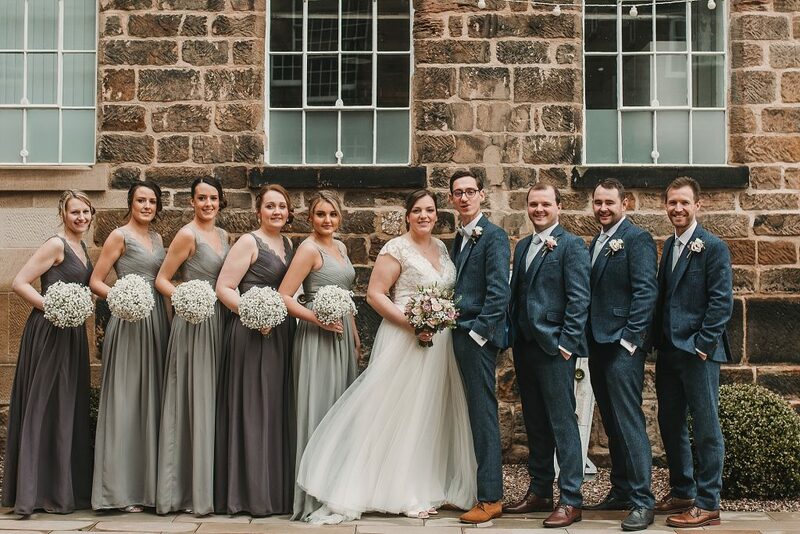 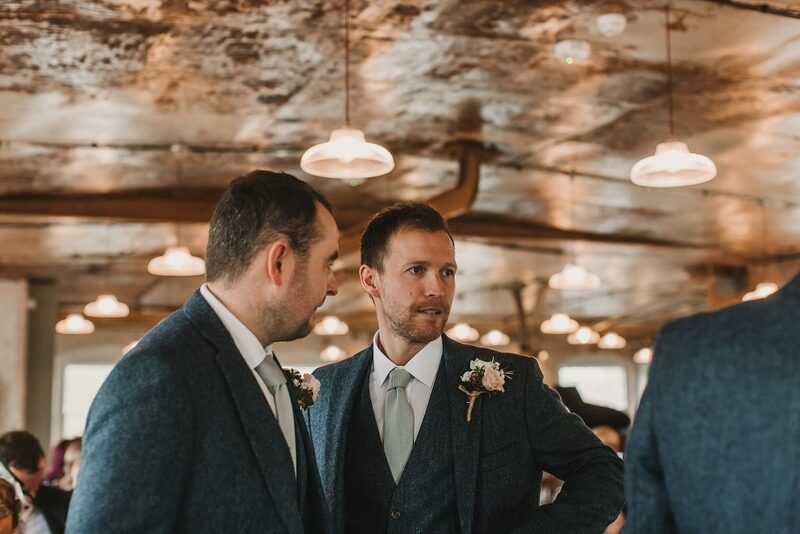 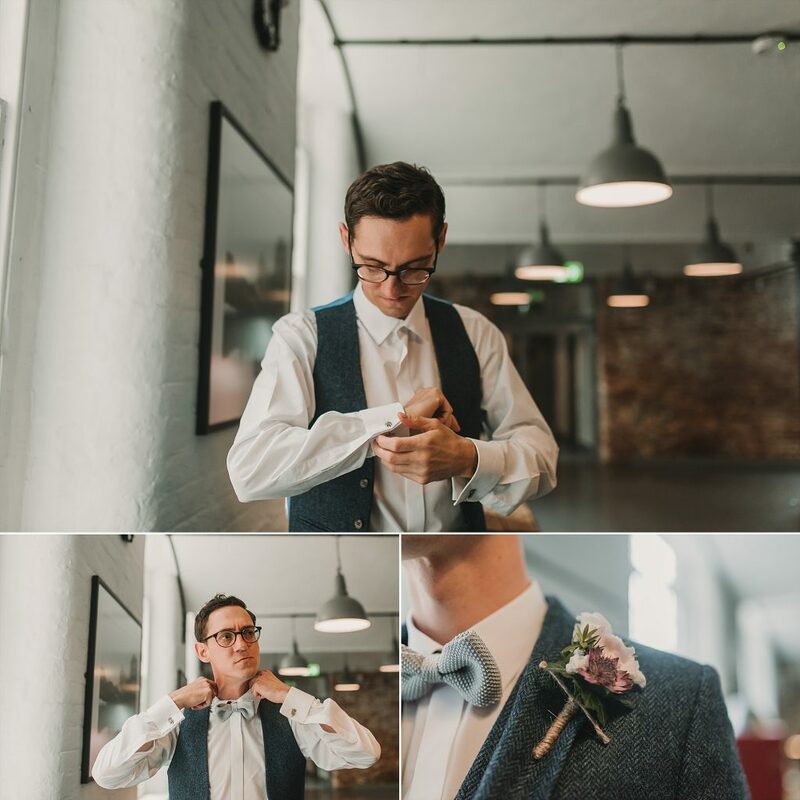 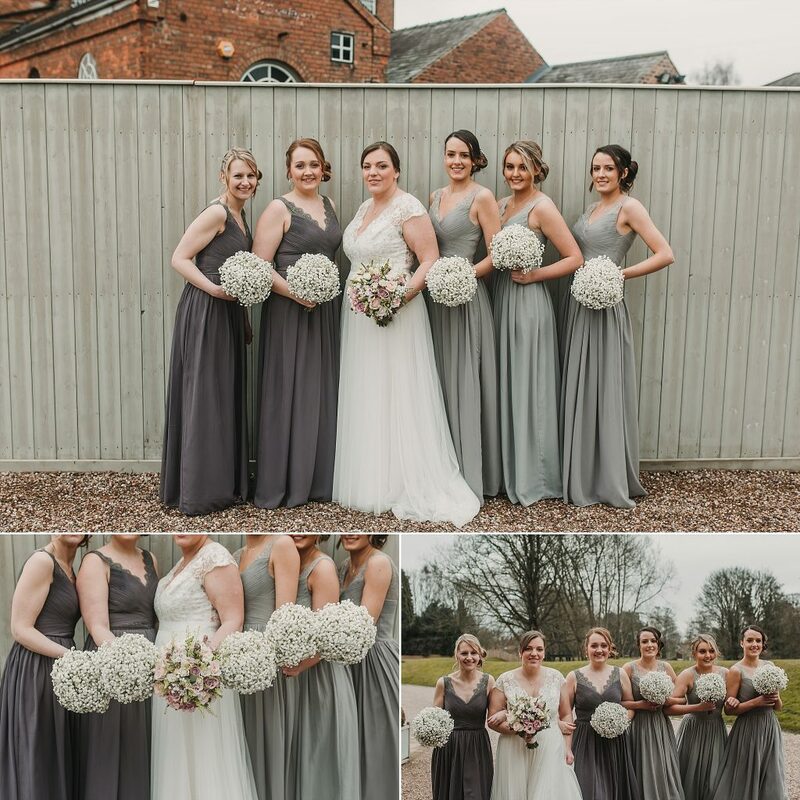 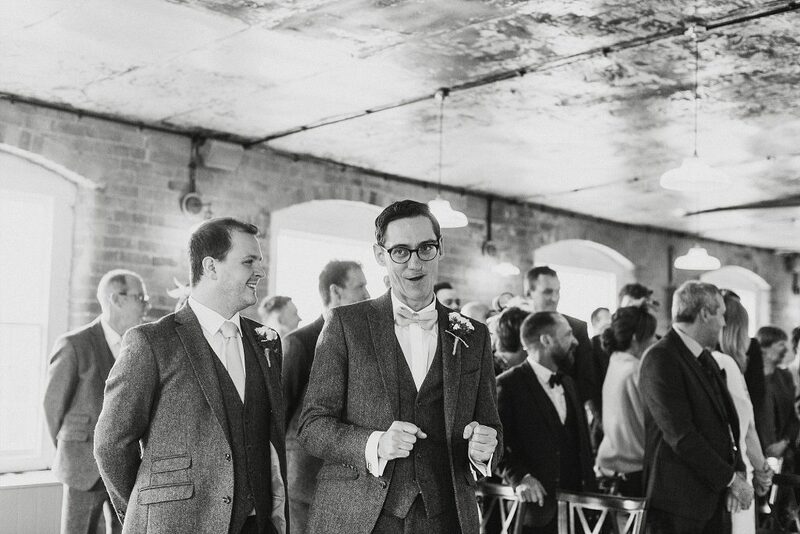 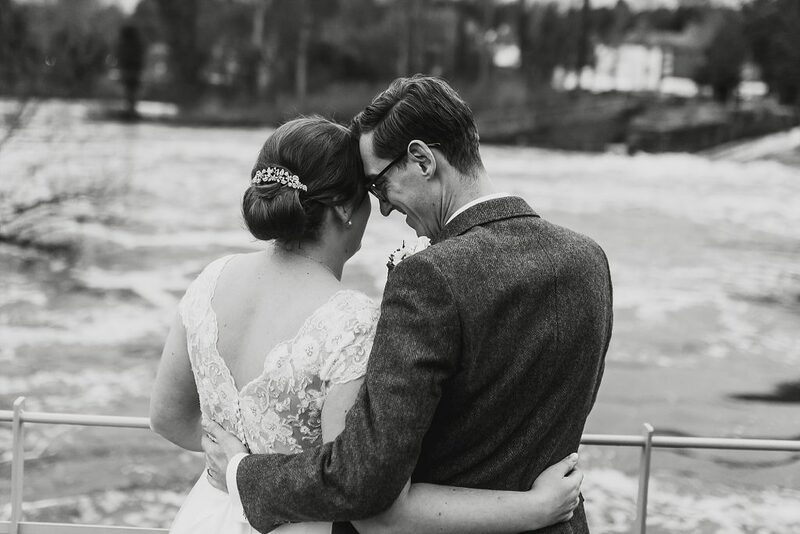 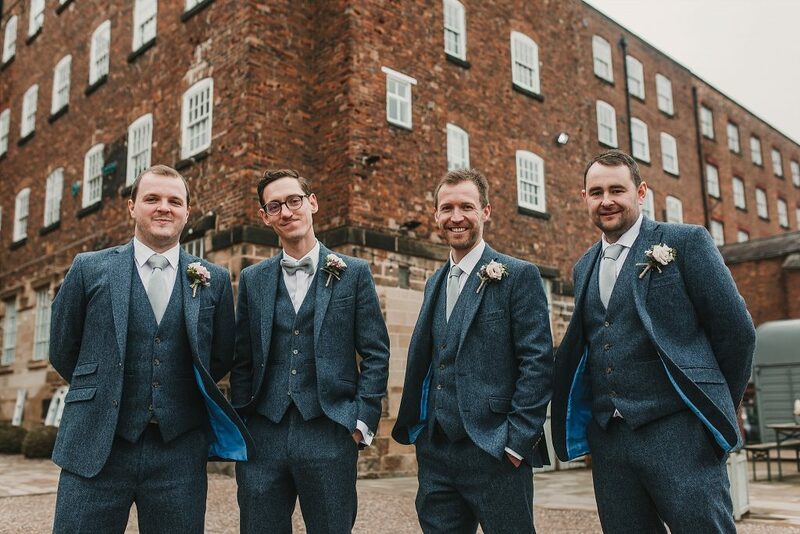 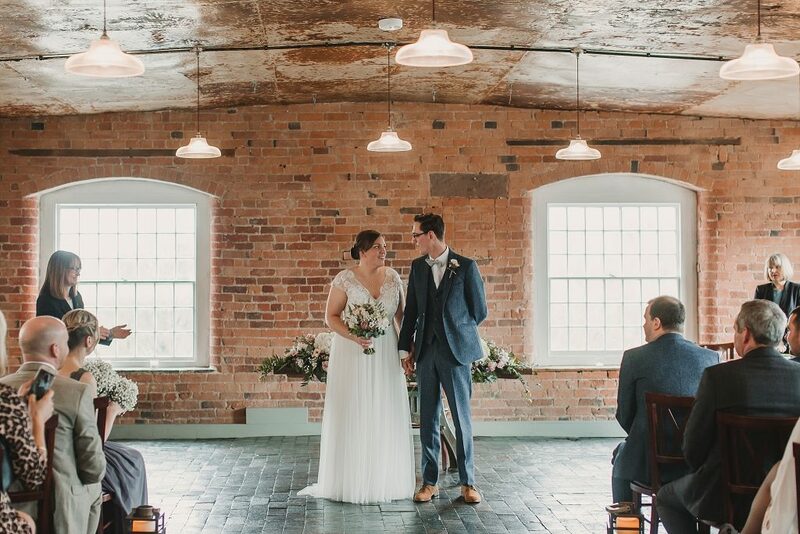 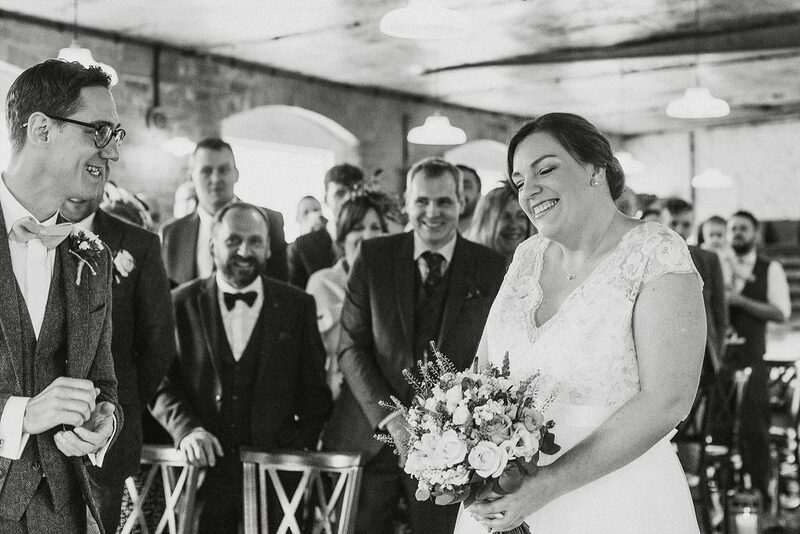 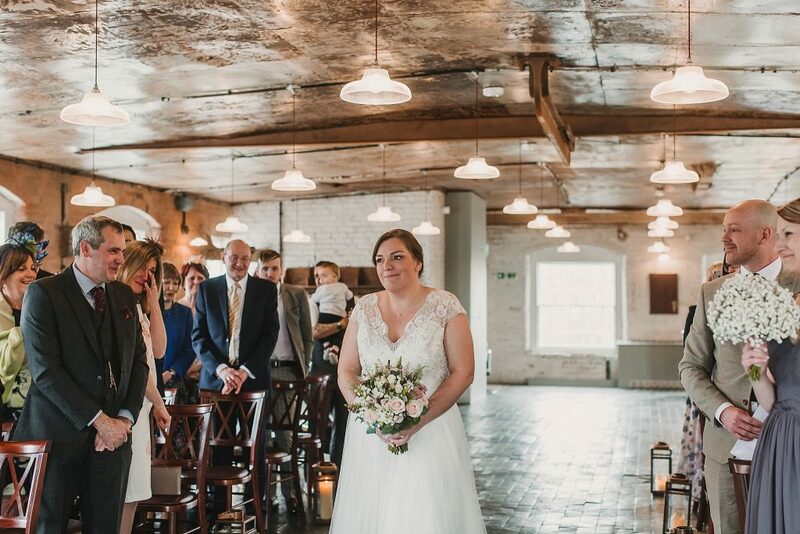 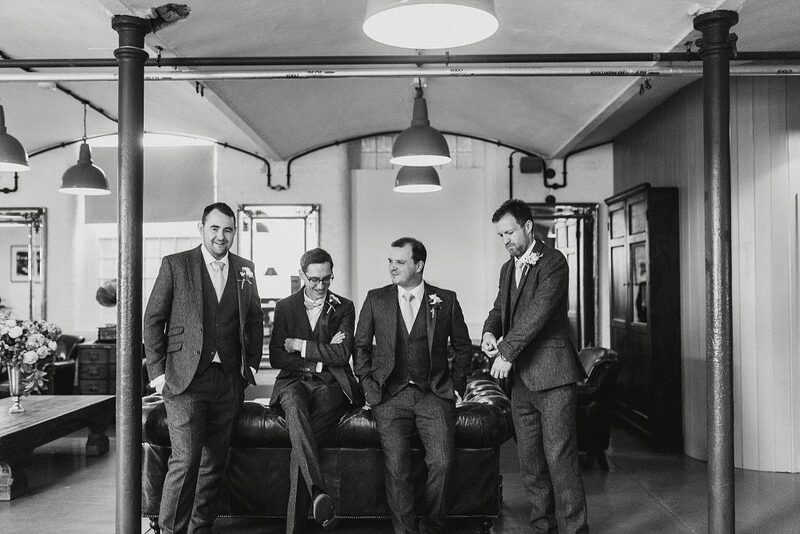 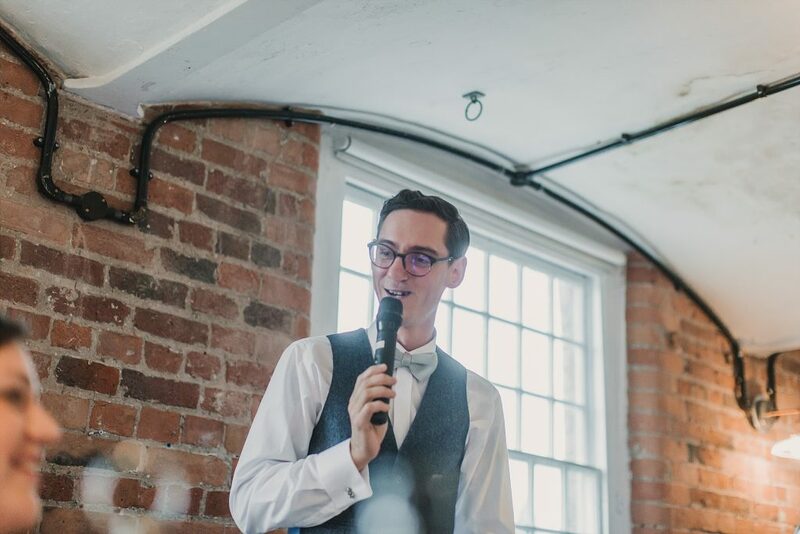 Adam and Laura’s beautiful spring industrial wedding took place at one of my favourite venues, The West Mill. 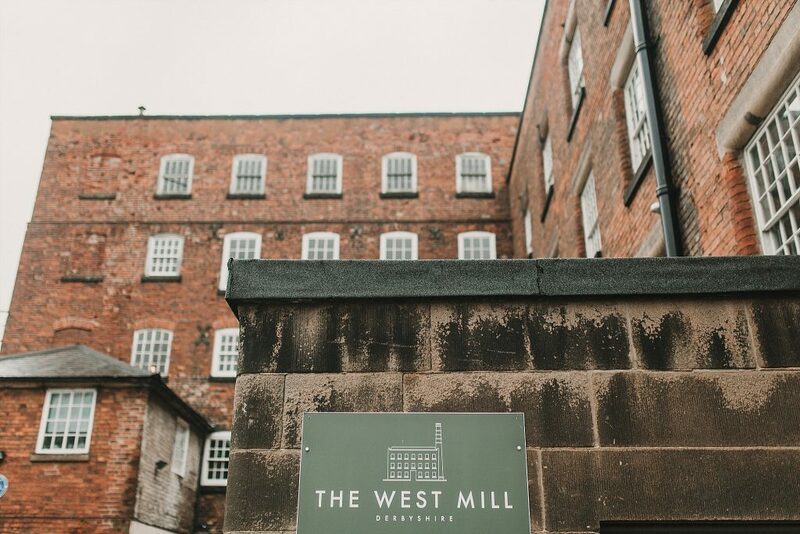 Originally built as a cotton spinning mill, the building played an important part in history and the industrial revolution. 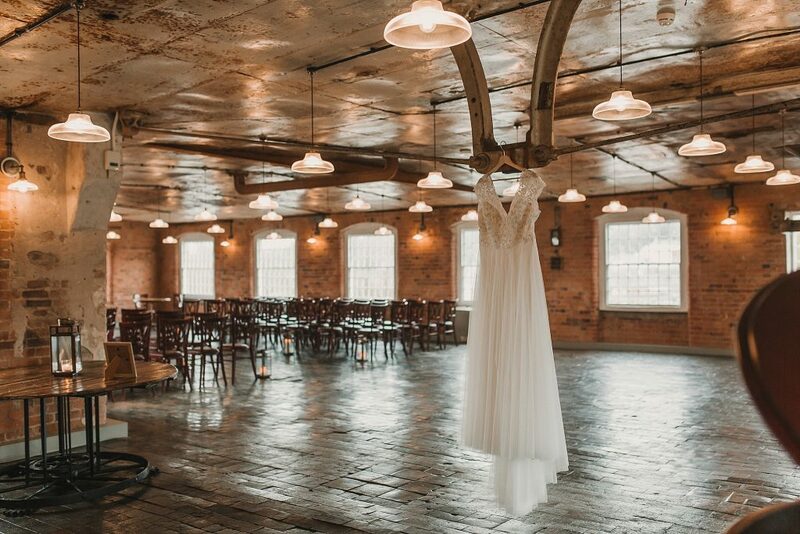 The mill’s renovation has retained all of the industrial architecture of the 1800’s. 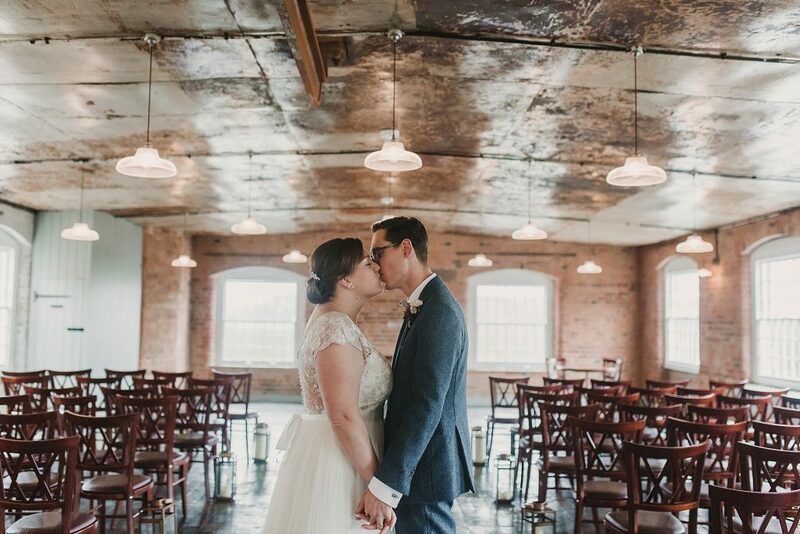 Think barrel-vaulted ceilings, exposed brick walls, cast iron columns and beams. 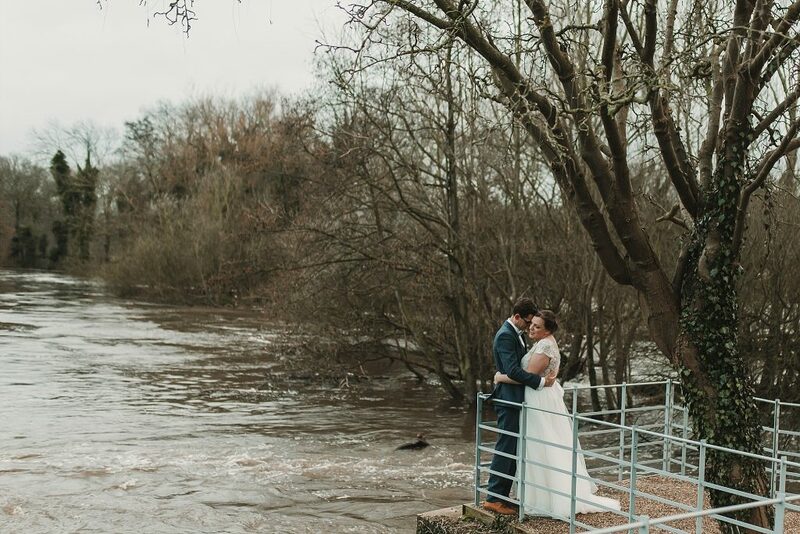 Perfect light and right next to the weir. 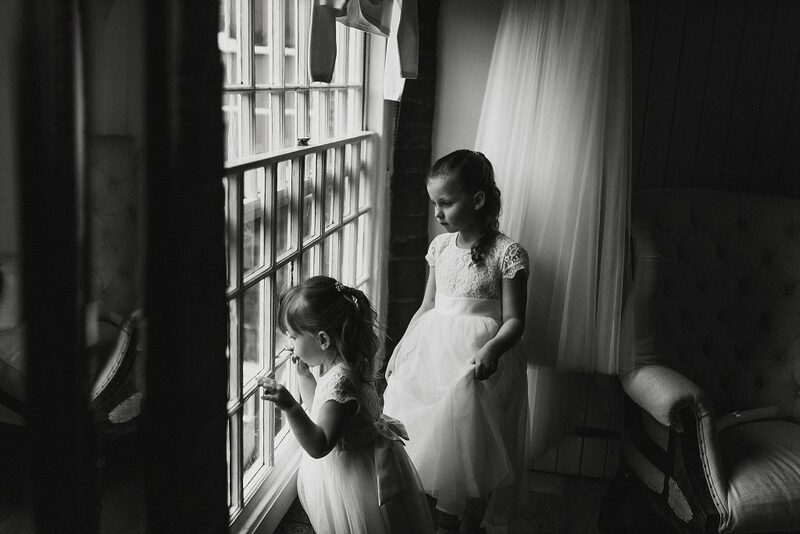 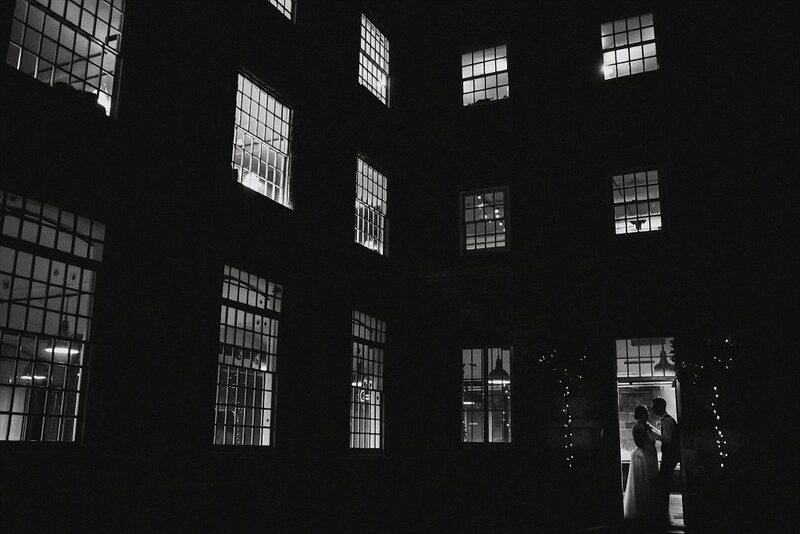 It’s a beautiful venue which makes my job as a Derby Wedding Photographer so easy! 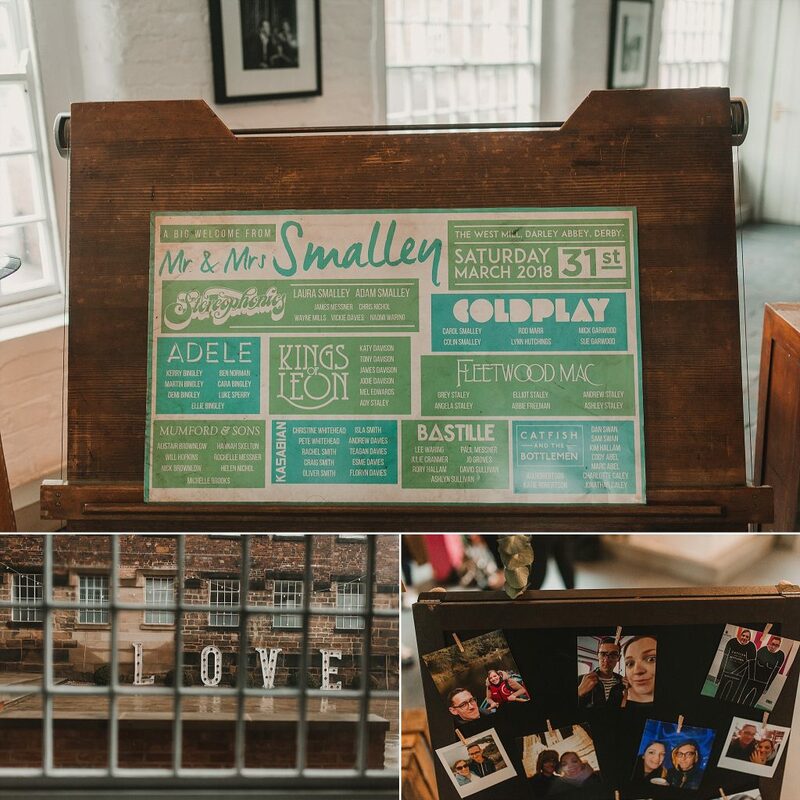 Adam and Laura met me at the Kelham Hall Britain Does Vintage wedding fayre. 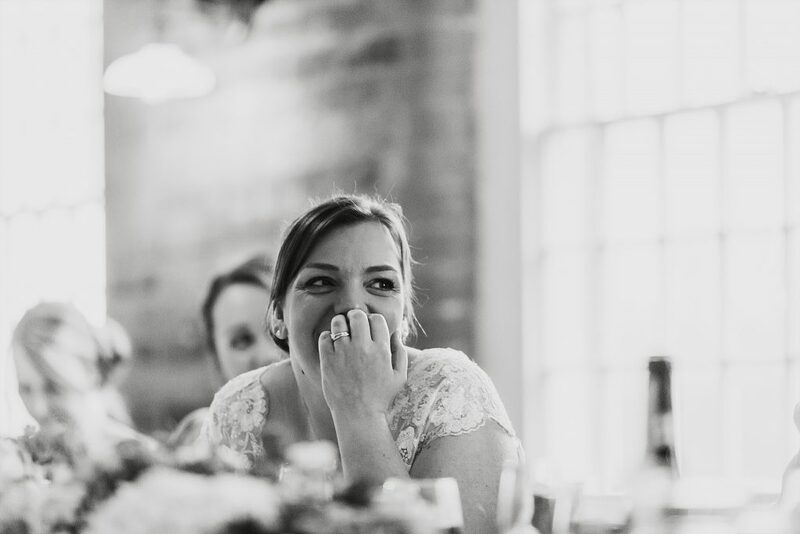 Laura told me that when she met me, she knew she wanted me to be the photographer for their wedding day. 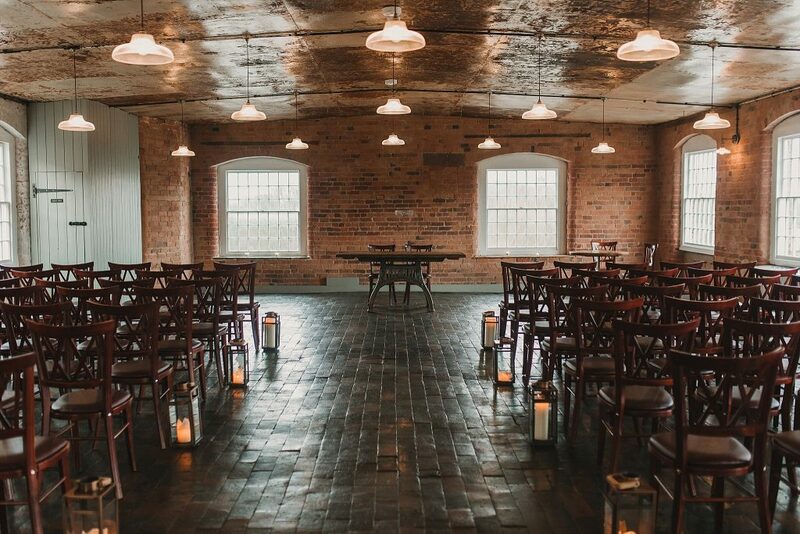 Three couples booked me from this fayre and all of these clients are so memorable to me. 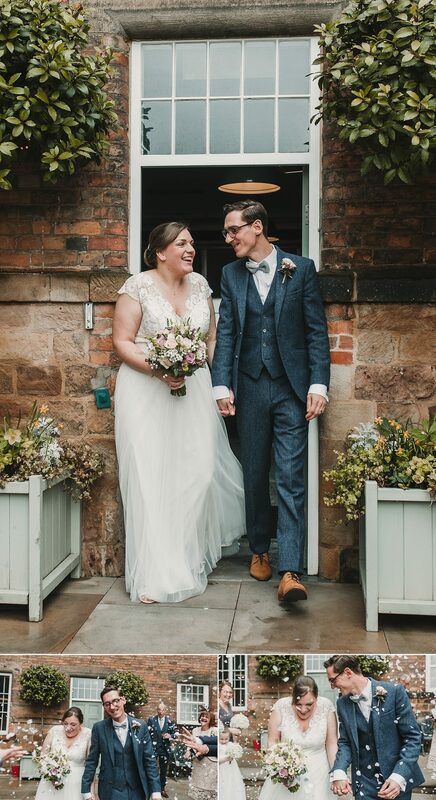 I instantly knew who Laura was when she got back in touch with me for a consultation and so I could meet Adam. 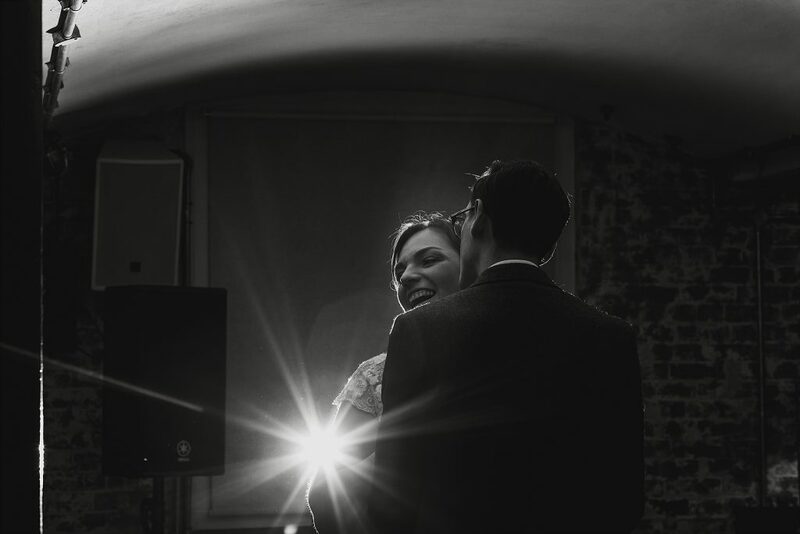 I would describe them as being perfect for one another. 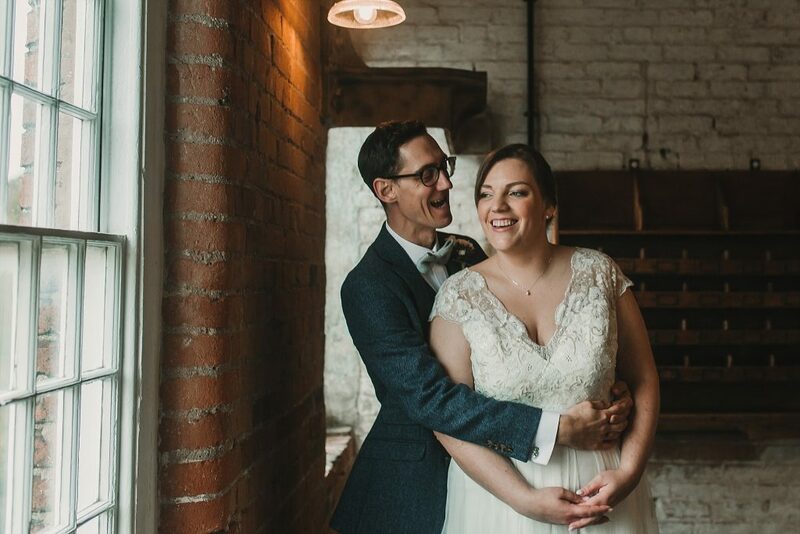 They argue quite a bit and don’t often agree but, they balance one another out. 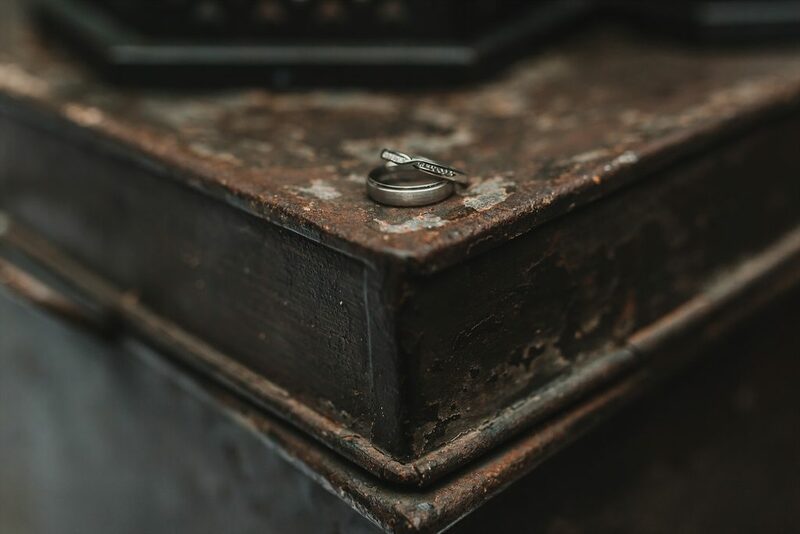 They fit together as though they were always supposed to be together. 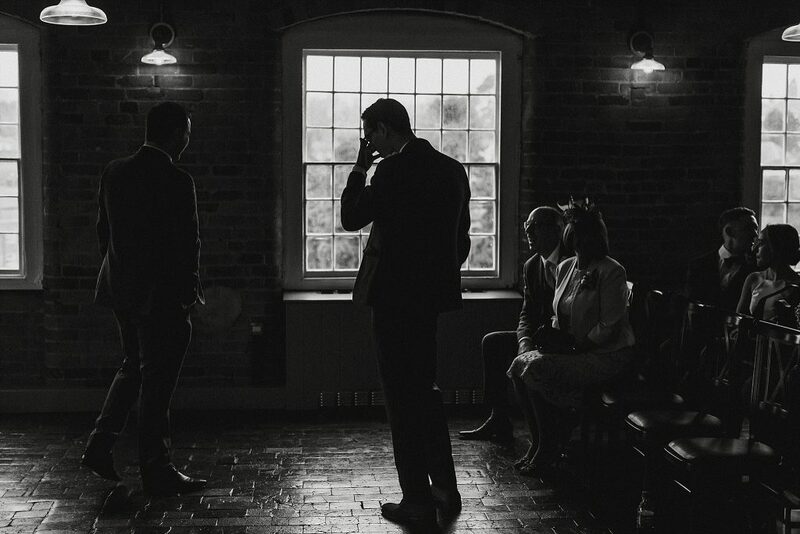 I think that no matter the circumstances, they would have always ended up together. 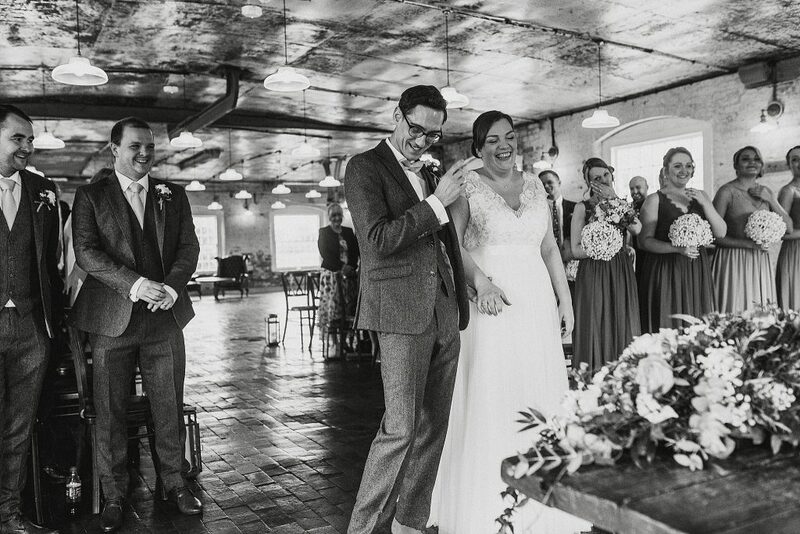 Simply put, Laura and Adam are total #relationshipgoals. 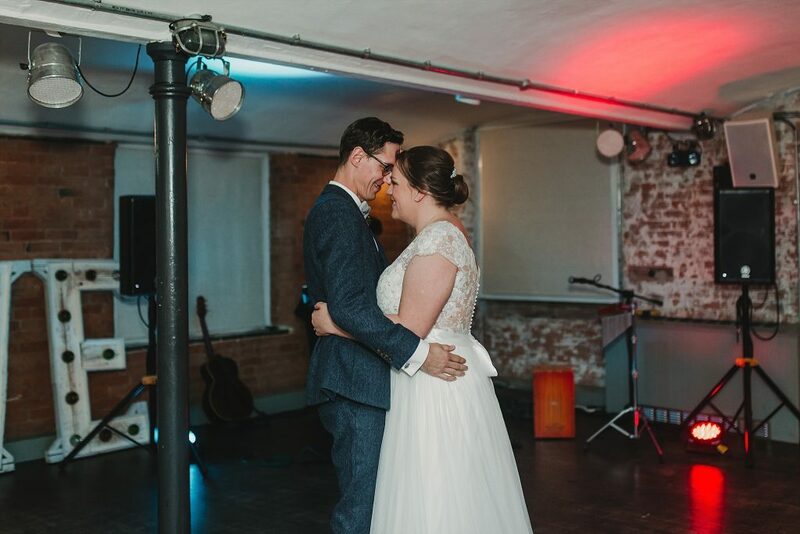 I’m so glad I know them and that they chose me for their wedding day. 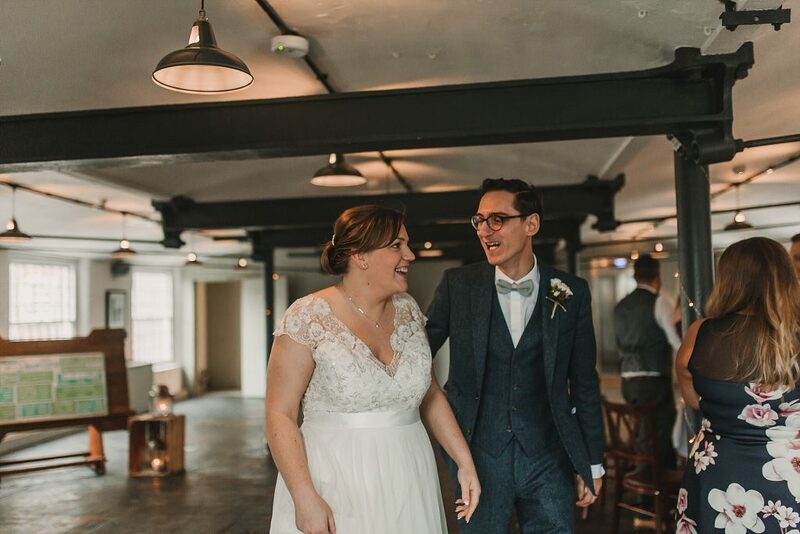 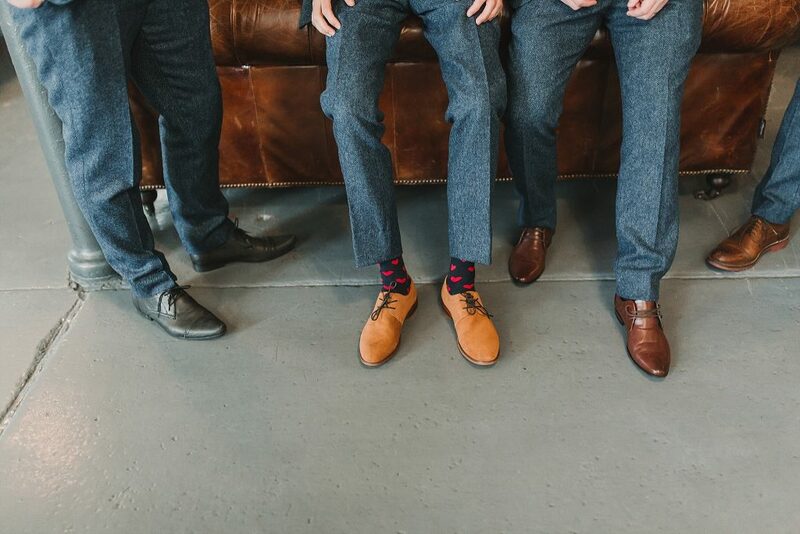 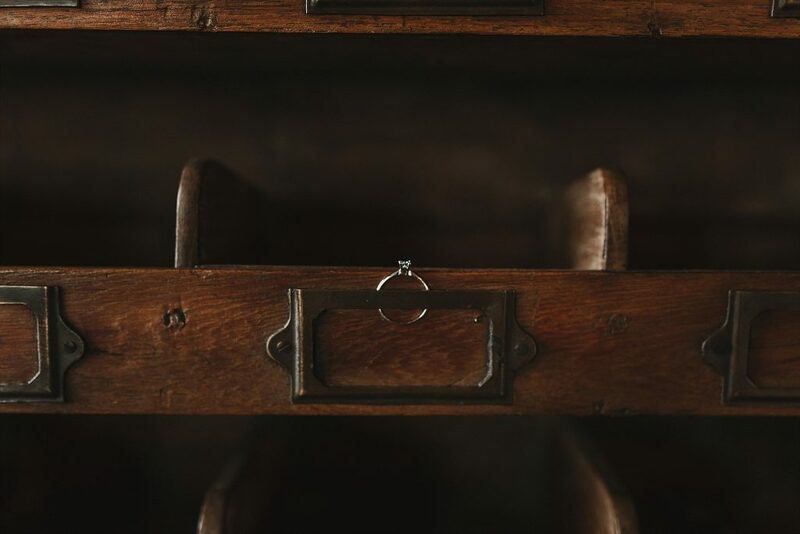 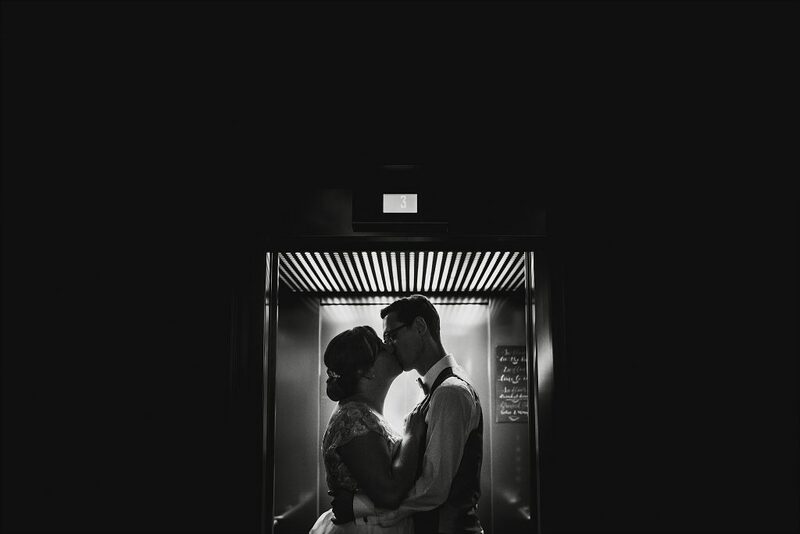 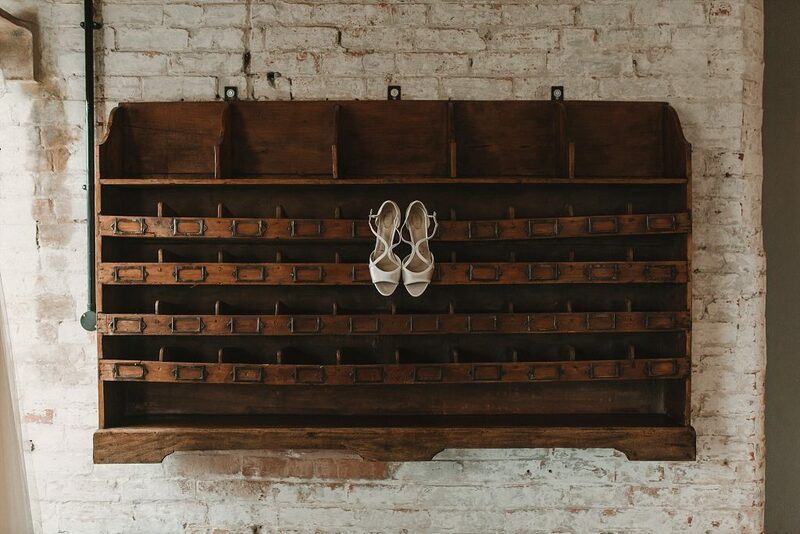 The first thing Laura and Adam did after getting engaged in New York was to book their venue. 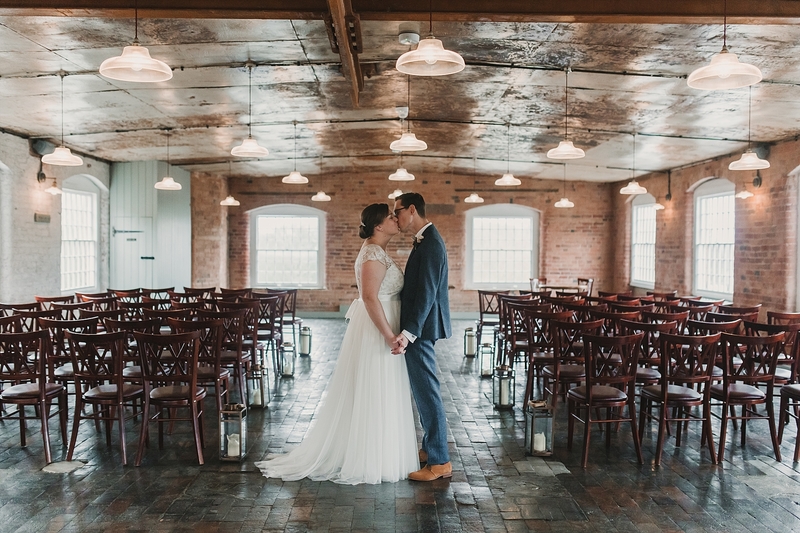 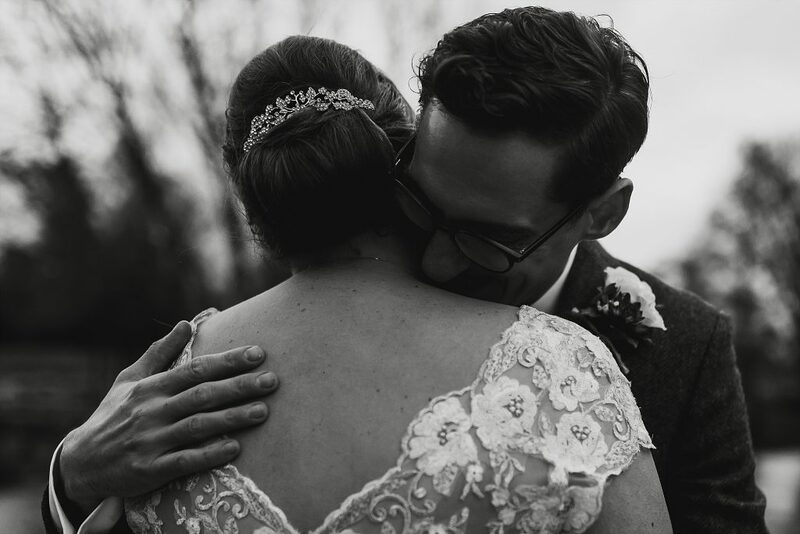 She told me that as soon as they visited The West Mill Wedding Venue, they knew it was the right place for their wedding. 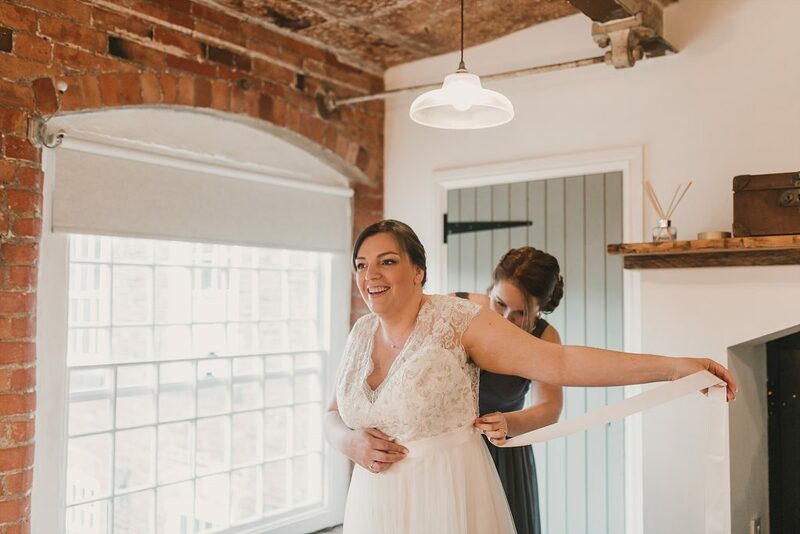 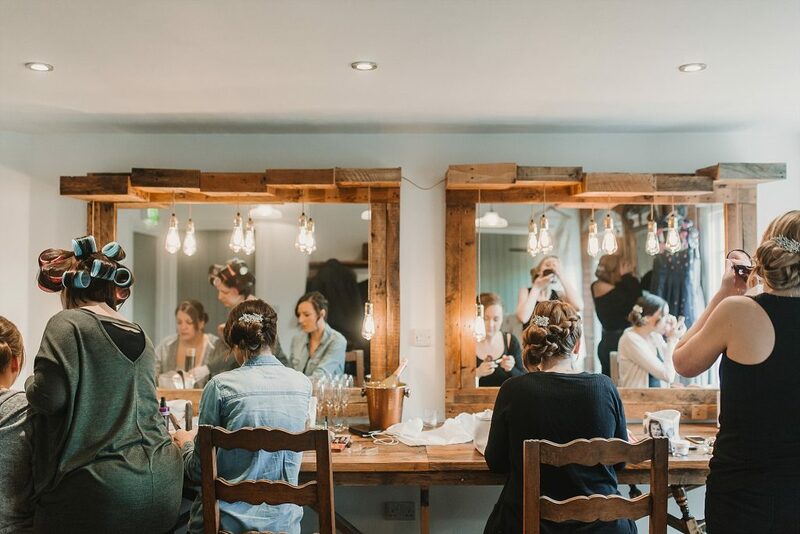 Because of this, Laura didn’t want to keep her wedding stripped back to be emphasise the existing features which they loved so much. 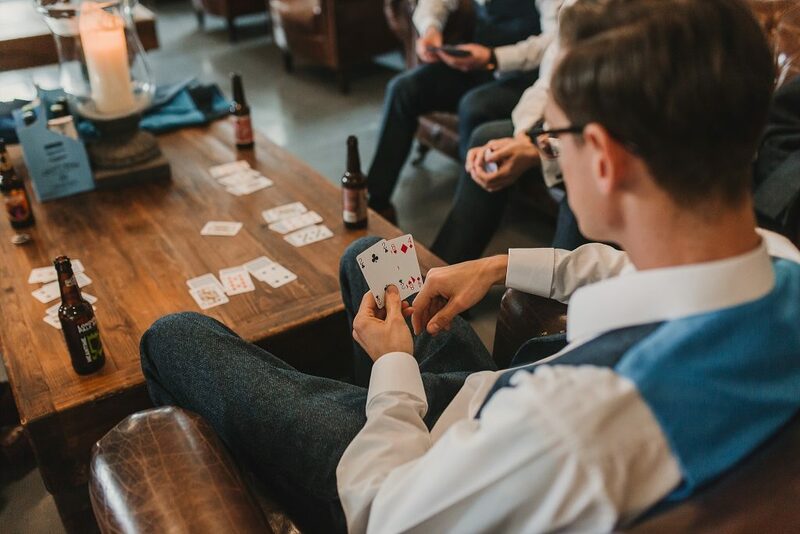 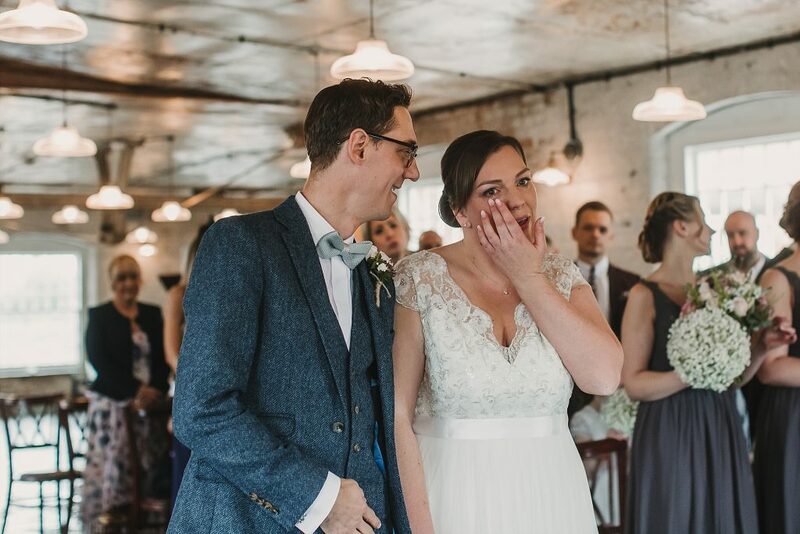 However when it came to their table seating plan, they knew they wanted to incorporate their love of music into their wedding day. 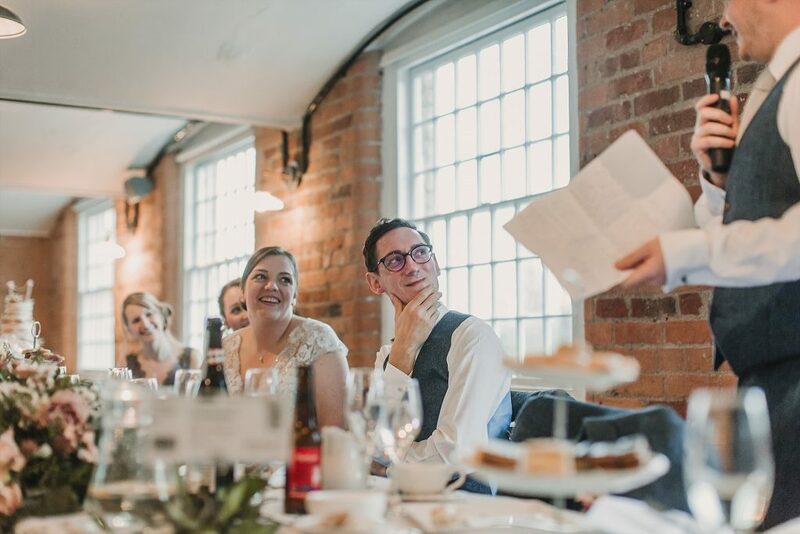 Each table was named after bands or artists they had been to see and the tables had their original tickets on them too. 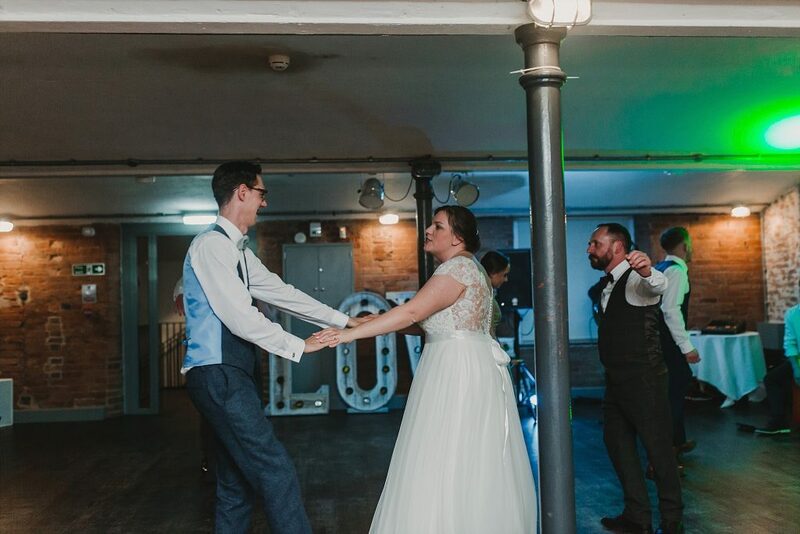 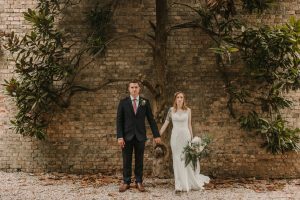 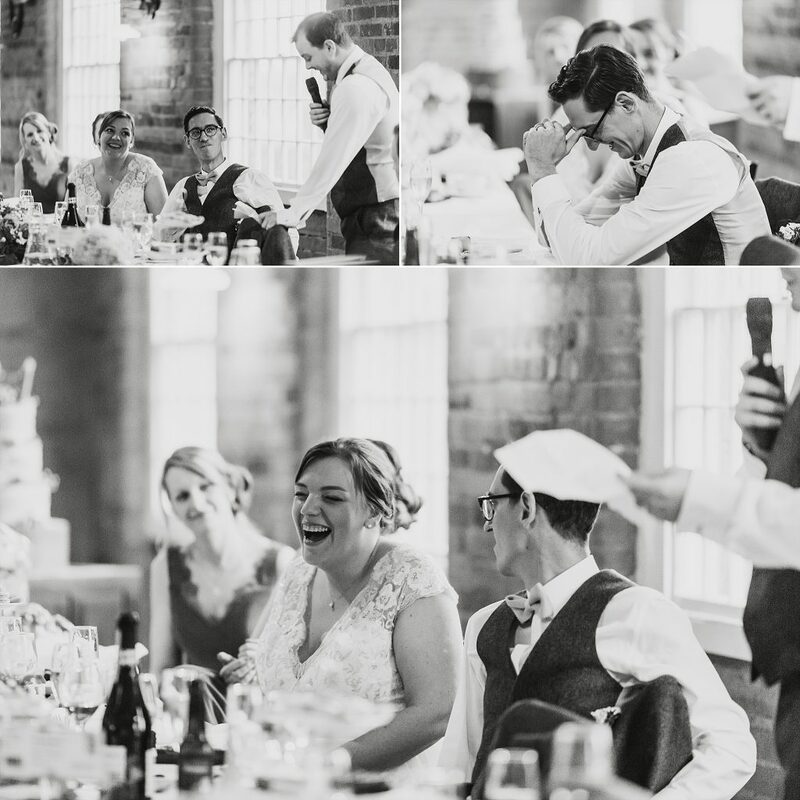 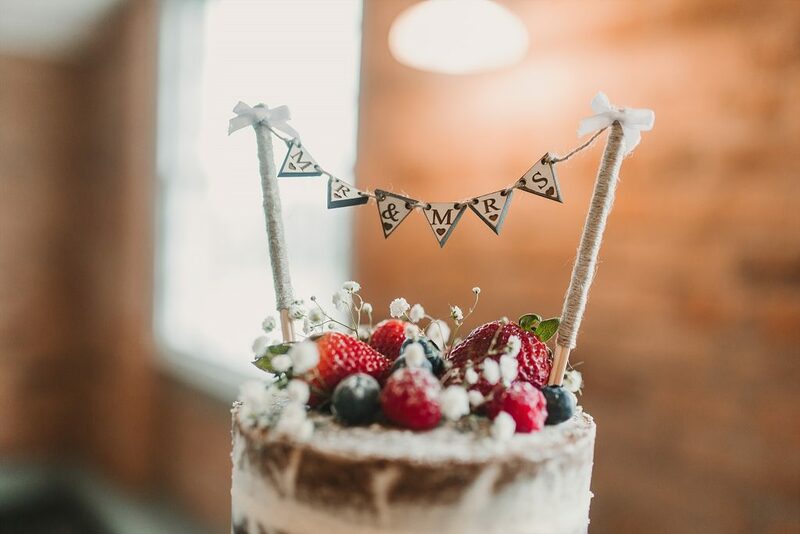 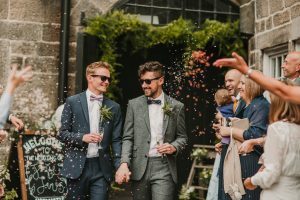 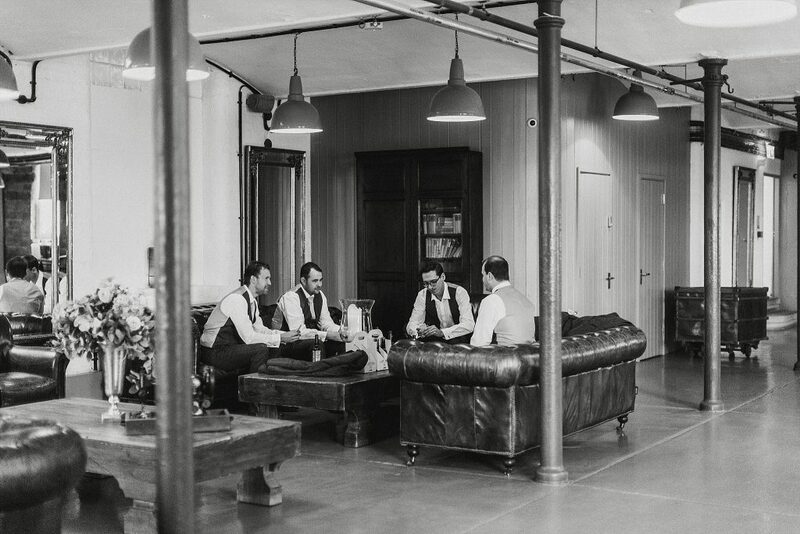 This was a perfect way to inject their personality into the day and still keep with their wish for a stripped back industrial wedding. 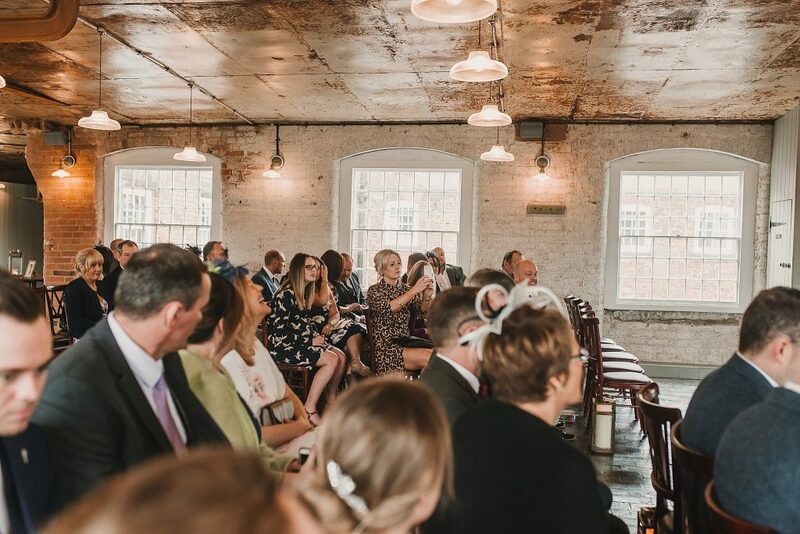 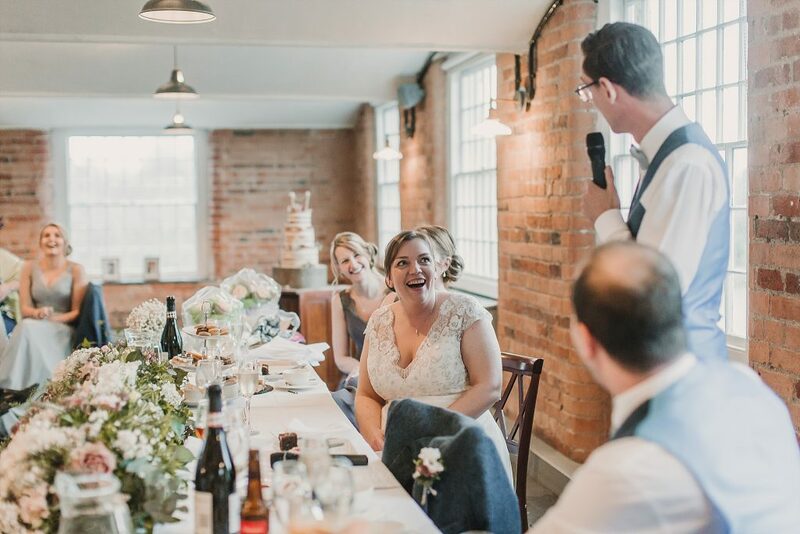 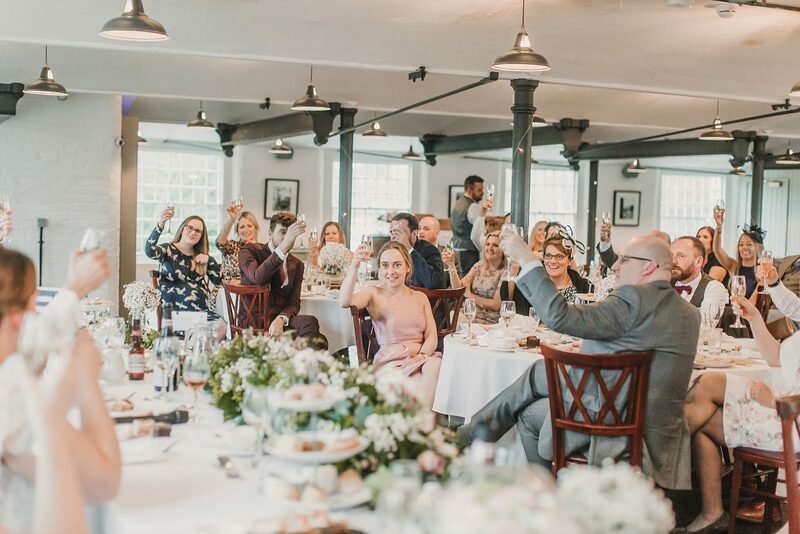 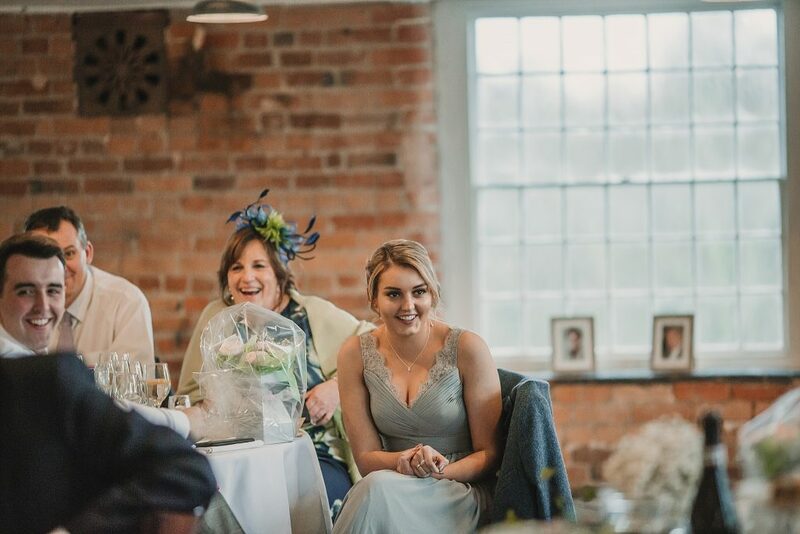 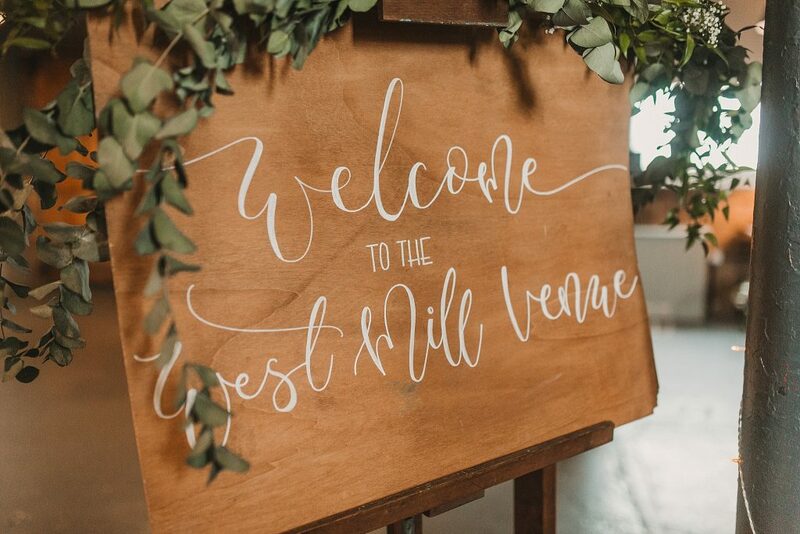 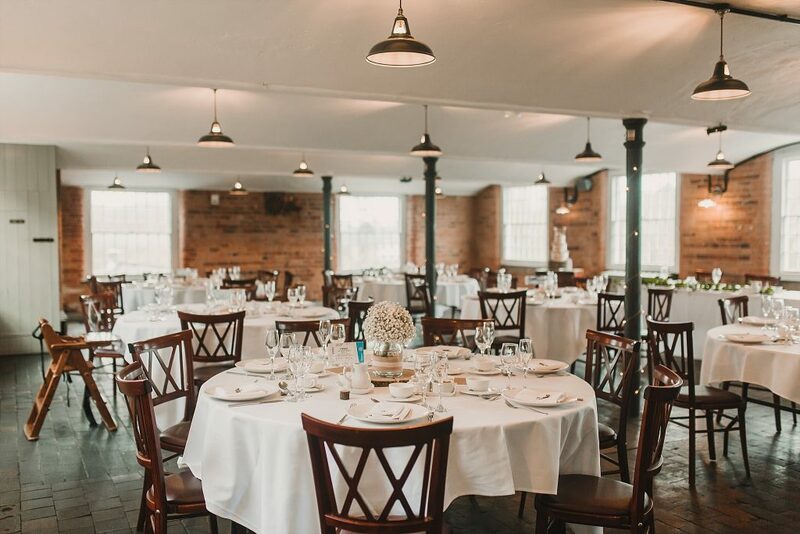 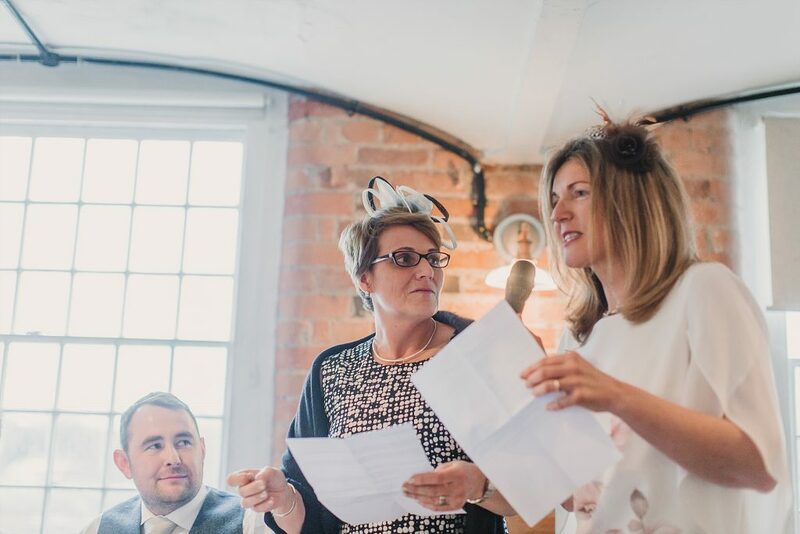 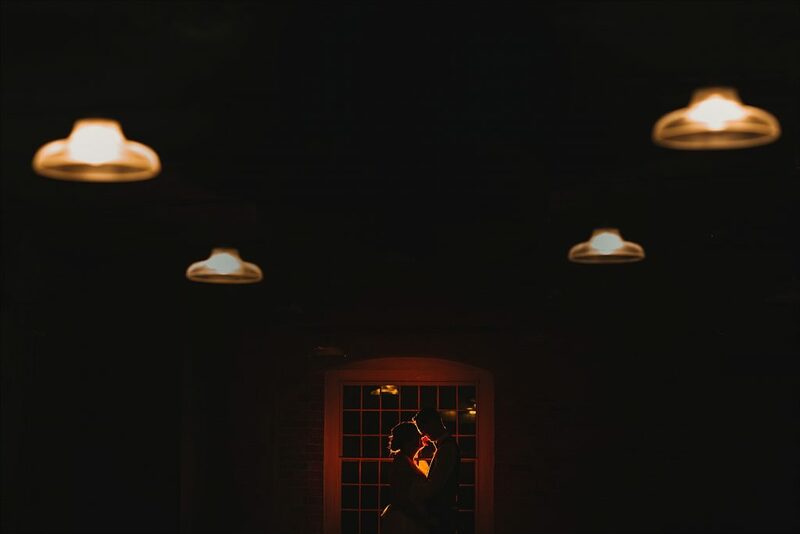 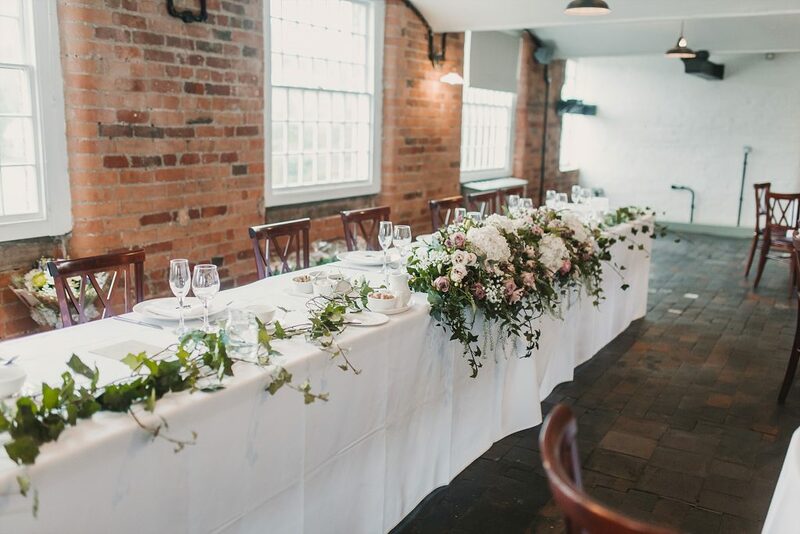 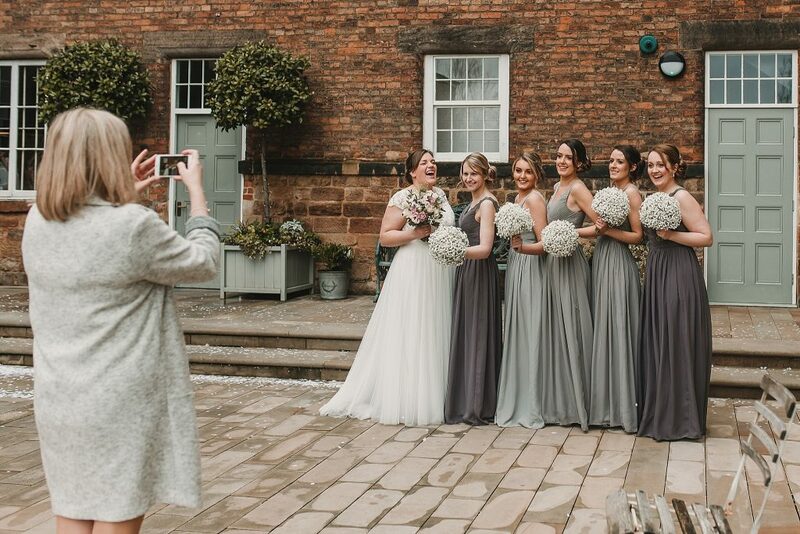 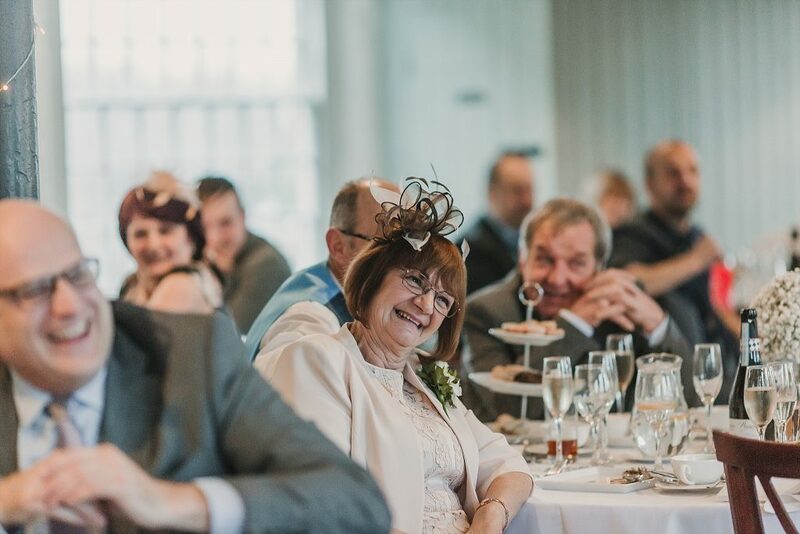 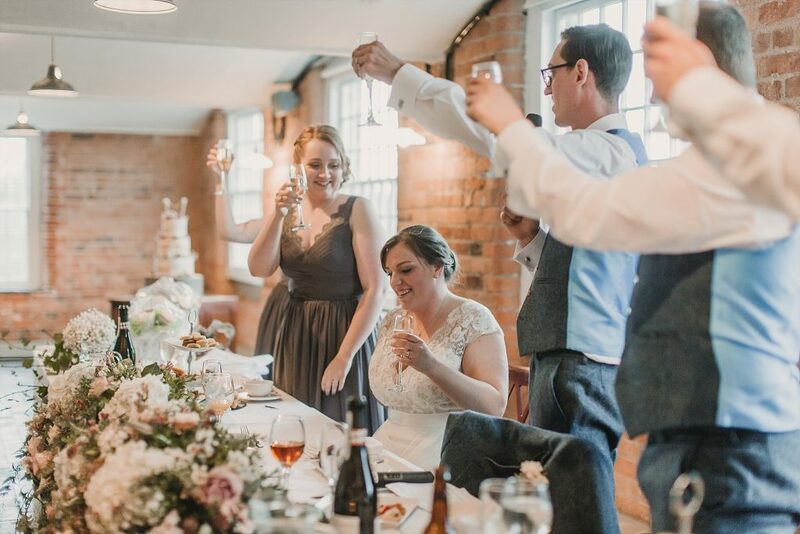 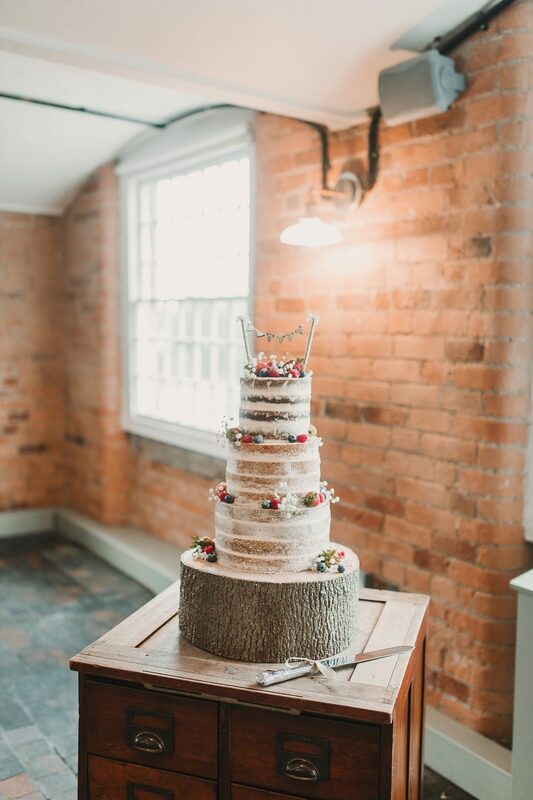 The West Mill is the perfect Derby Wedding venue for any time of year. 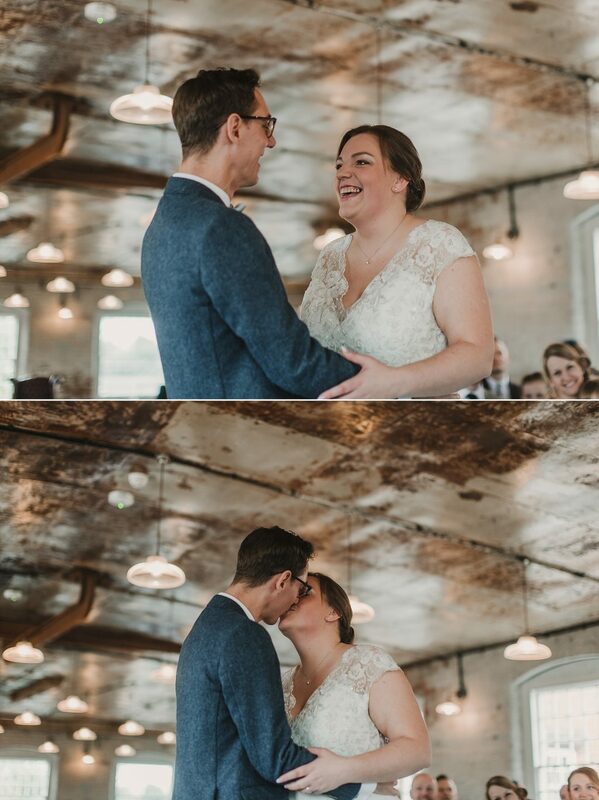 For a start, the interior is absolutely amazing. 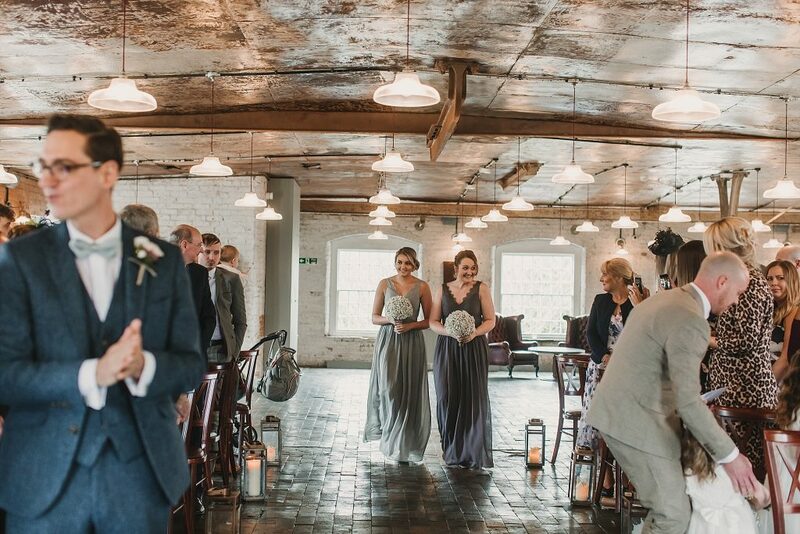 The combination of industrial and rustic aspects together with the amount of space and good lighting mean it’s an absolute dream to photograph. 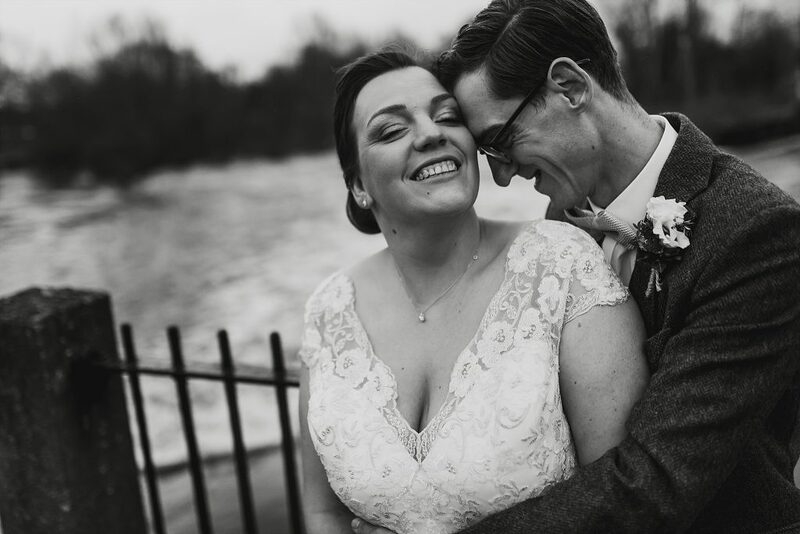 There is easily enough space to do bride and groom portraits if going outside is not an option. 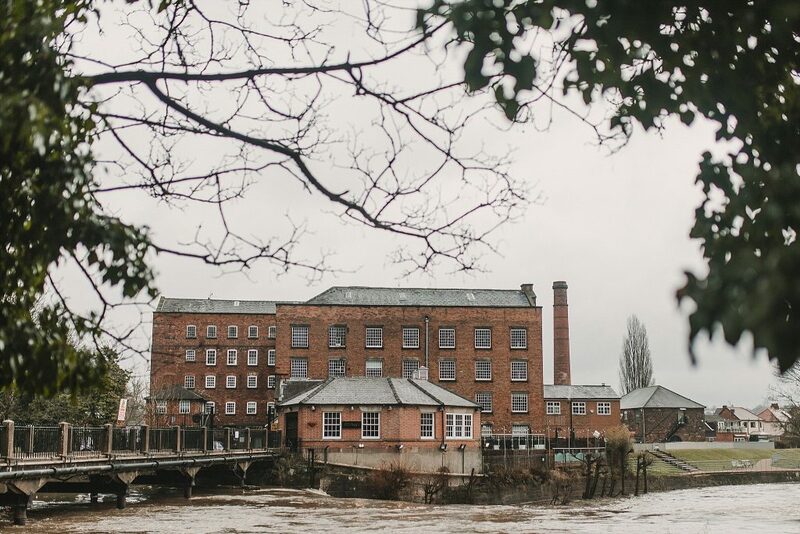 There are so many beautiful parts of the mill that can be photographed. 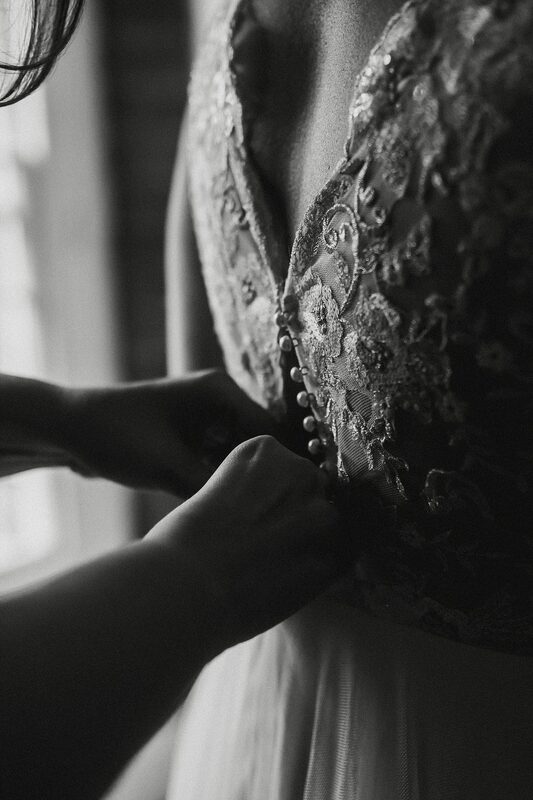 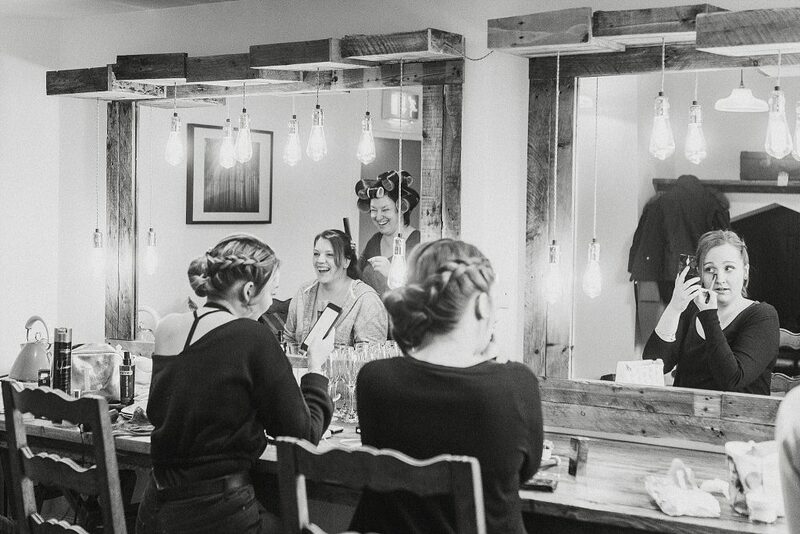 And my favourite bit as a photographer is how the bride can get ready there too. 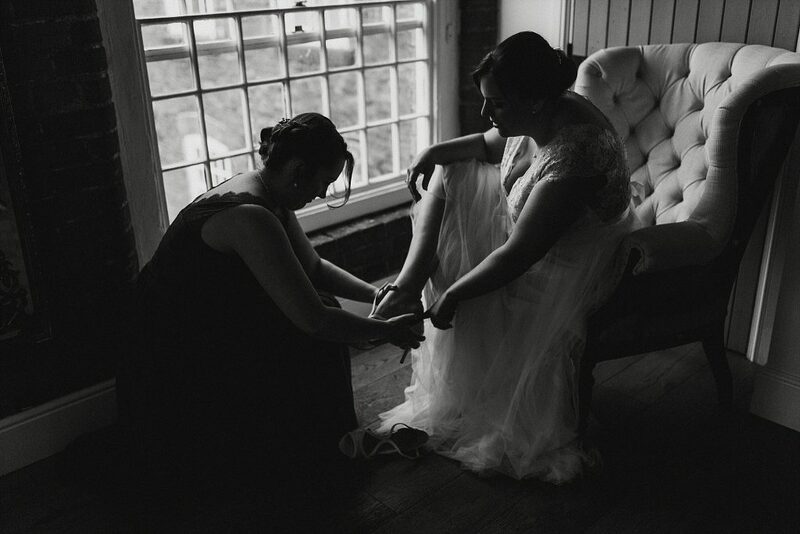 Laura chose to do her bridal preparations there, so no rushing from one place to another. 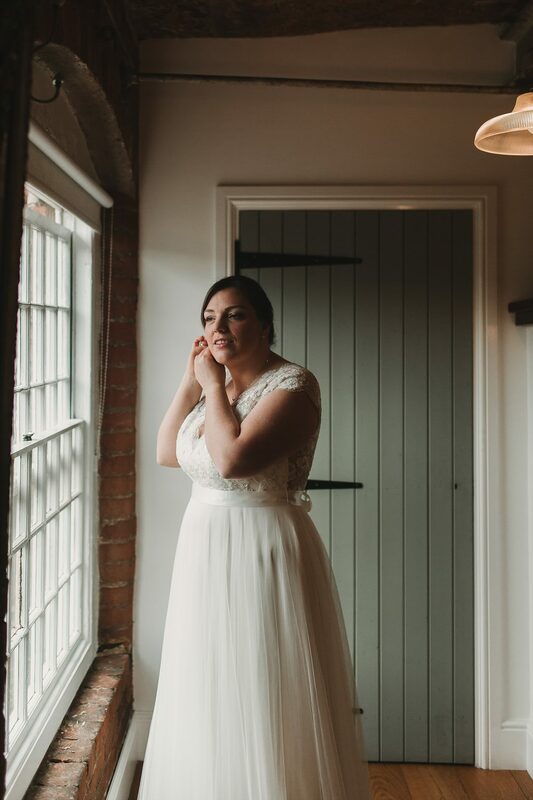 She could just step out of the room and walk down the aisle! 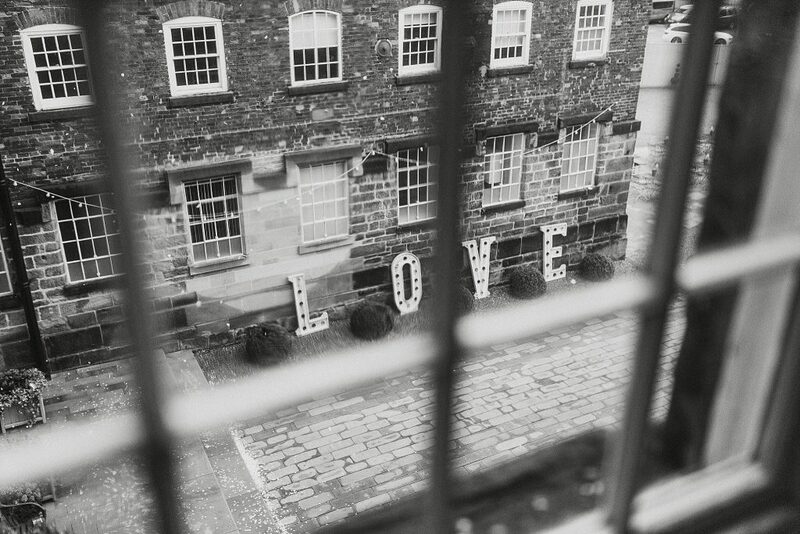 Shooting here where everything is in one place, is just amazing!! 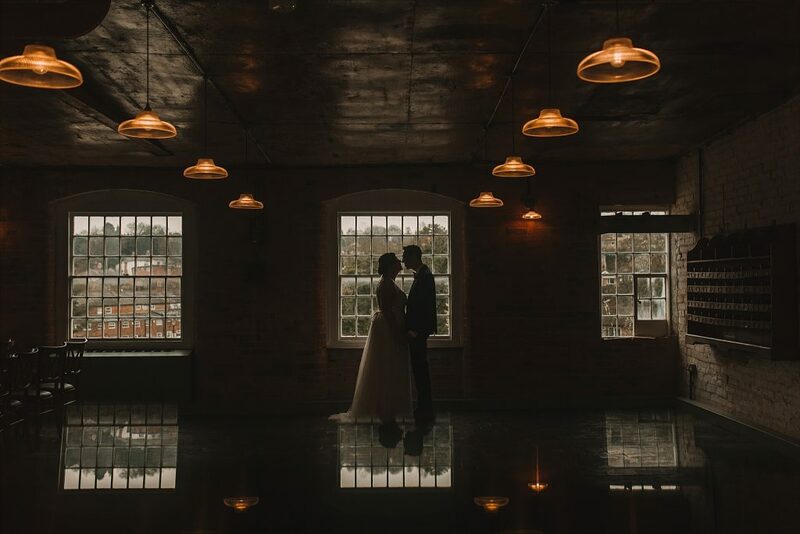 Probably one of the most chilled places I have photographed. 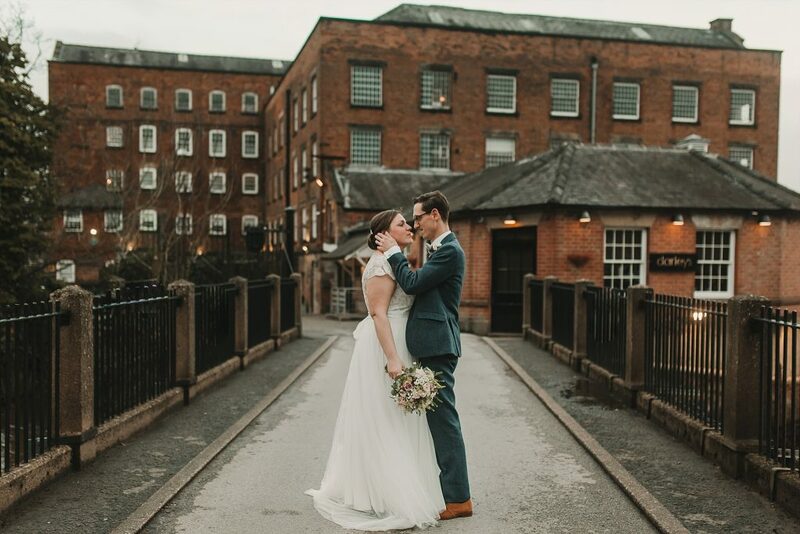 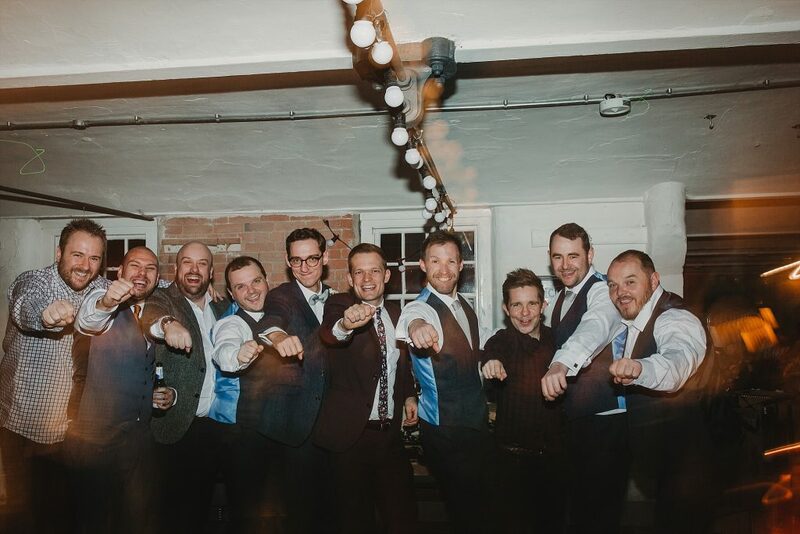 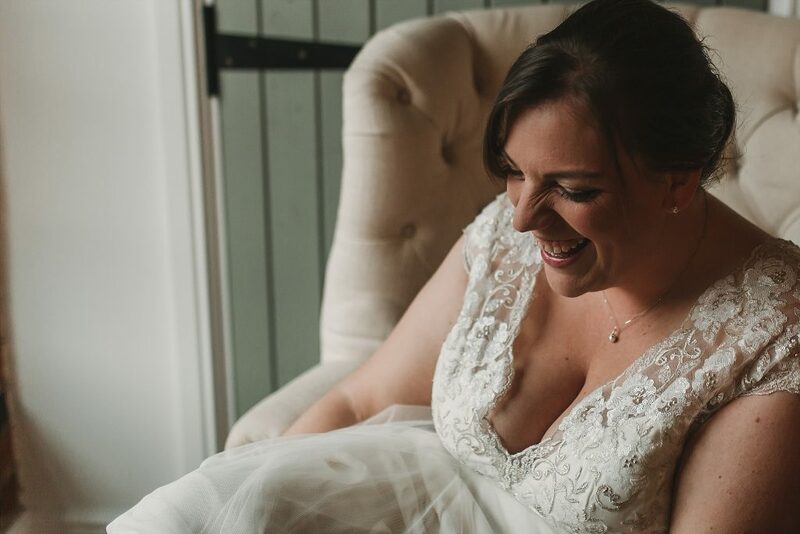 If you are having a wedding at The West Mill and need a Derby Wedding Photographer, please get in touch here in order to find out more about my services.